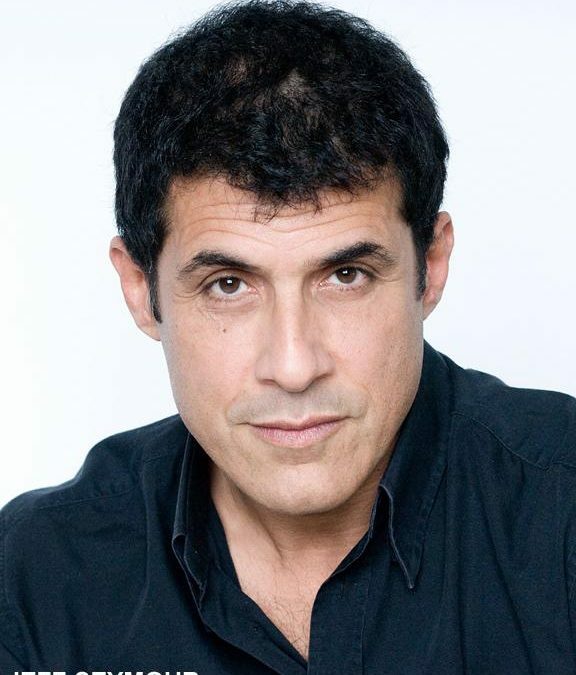 You can see Yuval David on television, in theater or films just like many other actors out there making a career. But what sets him apart is the work he creates himself. 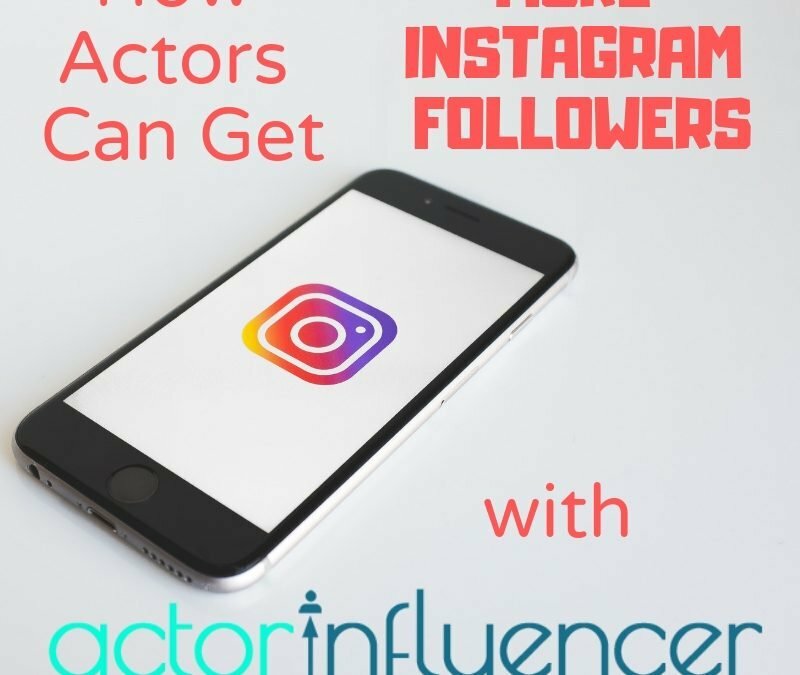 Actor Influencer has been growing actor’s Instagram followers by the thousands with real people and casting takes notice! Hear how you can save $20/month for LIFE thanks to our discount code! 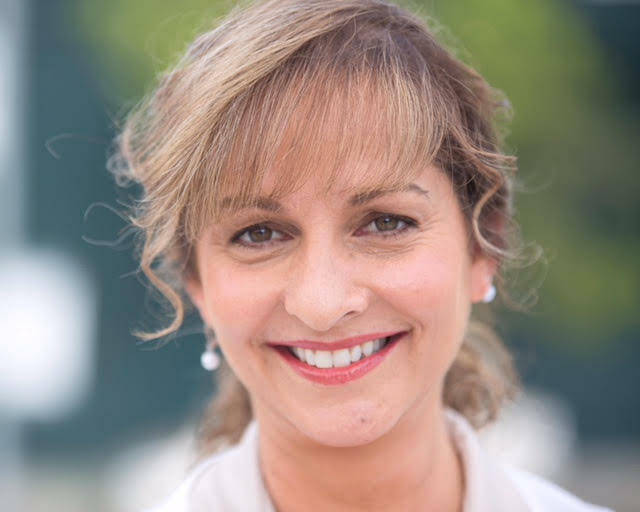 Sandra Karas has been an actor and leader on the front lines of tax law for actors and artists. 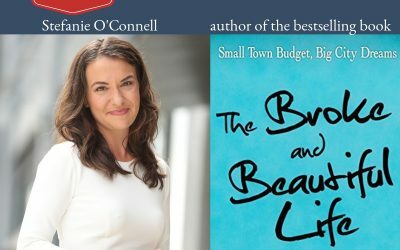 She shares a ton of valuable insight and pratical information in this episode to help actors do their taxes right while building better financial habits. 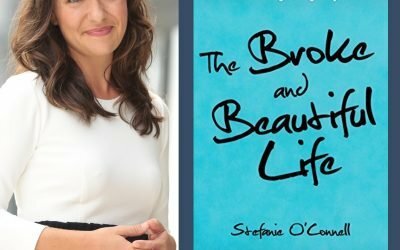 Stefanie O’Connell is the author of the best selling book The Broke and Beautiful Life. 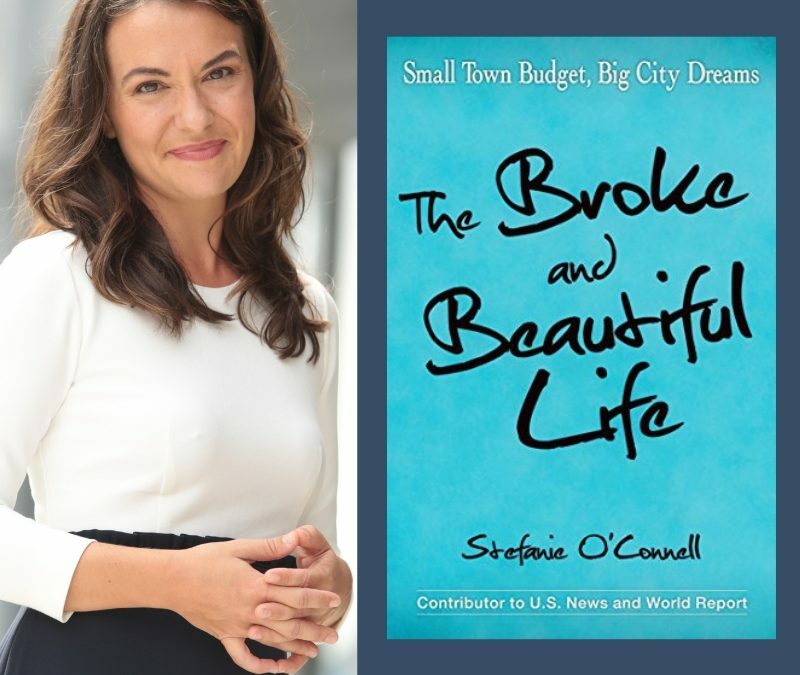 As the millennial money expert, Stefanie shares how actors can take control of their money and build more sustainable careers with tips, tricks and a ton of practical advice. 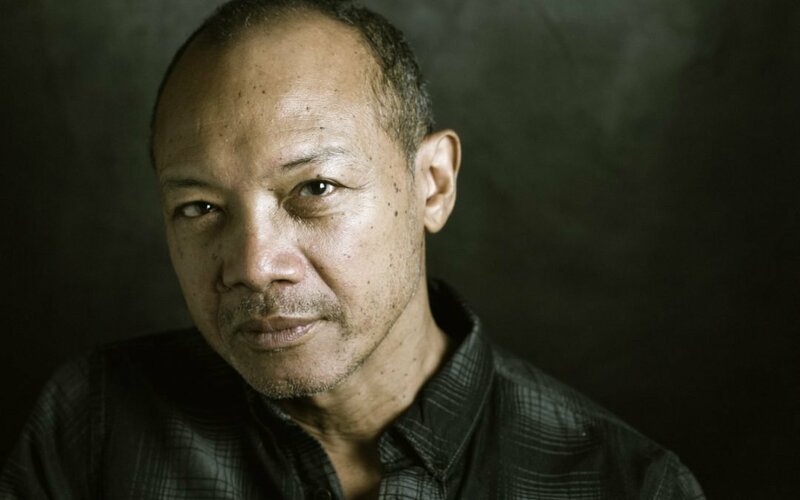 Paul Calderon’s work is always powerful, grounded, specific, and engaging. 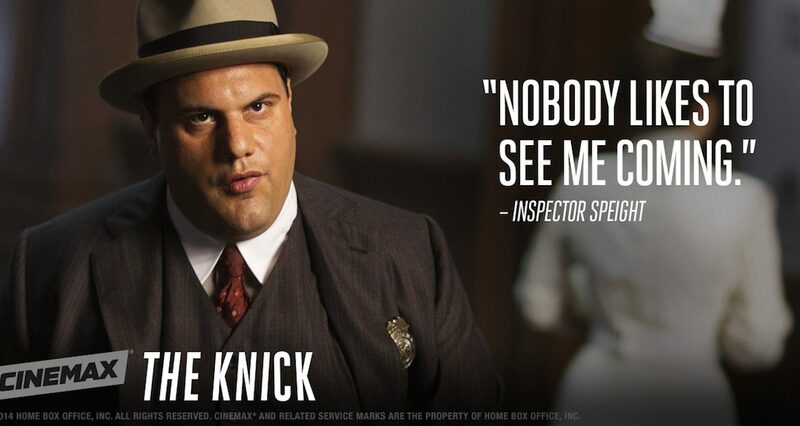 He’s worked for years in film and television from Pulp Fiction and Miami Vice to 21 Grams and Bosch. 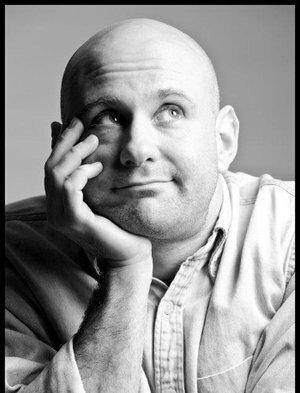 Paul also teaches actors at Playwrights Horizons and the Lee Strasberg Institute. 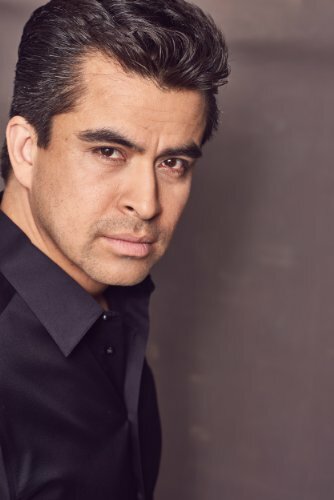 Juan Cardenas talks about the need for actors to be their own advocate in episode 100. 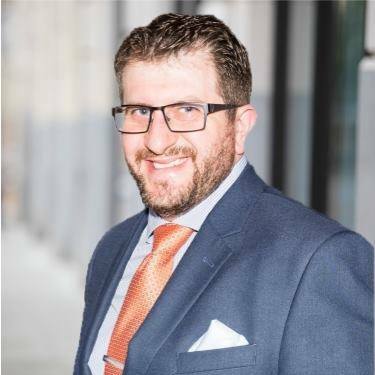 He stresses the importance of cultivating the drive to make the right connections, build the right relationships, and learn the necessary skills to continue to push their career forward regardless of the challenges. 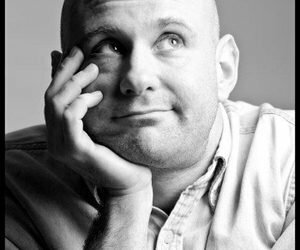 Bret Shuford has dedicated his life to creating theatre and helping others do the same. 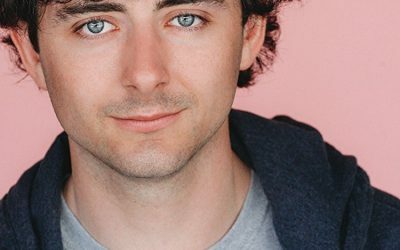 He made his Broadway debut in the ensemble of Chitty Chitty Bang Bang, followed by Disney’s Beauty and the Beast, The Little Mermaid, and Amazing Grace. 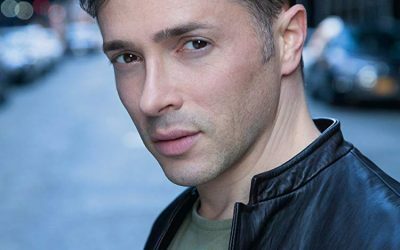 Most recently, he was seen on Broadway in Cirque du Soleil Paramour, and in the Martin Scorsese feature film The Wolf Of Wall Street. Ruby Mercado has appeared on shows like Nickelodeon’s The Thundermans, Jane the Virgin and Scorpion. Since moving to Los Angeles Ruby has become one of the go to “Latina Moms” and has been building a career with a solid understanding of her brand, her network, and her patience. 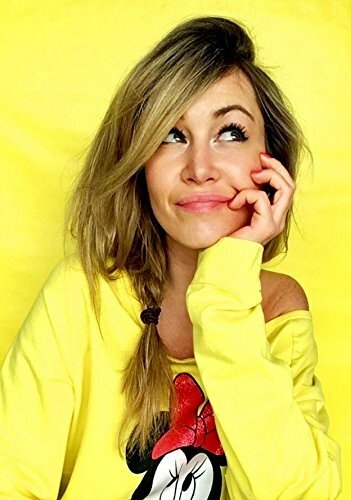 Ruby vlogs about her life as a Hollywood mom and also hosts a podcast called Awakenings in Real Life. Heidi Dean is the industry’s top social media expert for actors. 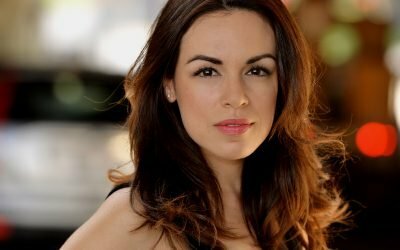 She has helped Emmy Award-winners, Broadway stars, recording artists, directors, producers, filmmakers and actors just like you go from social media rookies into ROCKSTARS at Marketing4Actors.com where you’ll find over 100 free articles and trainings to help you rock your social media. 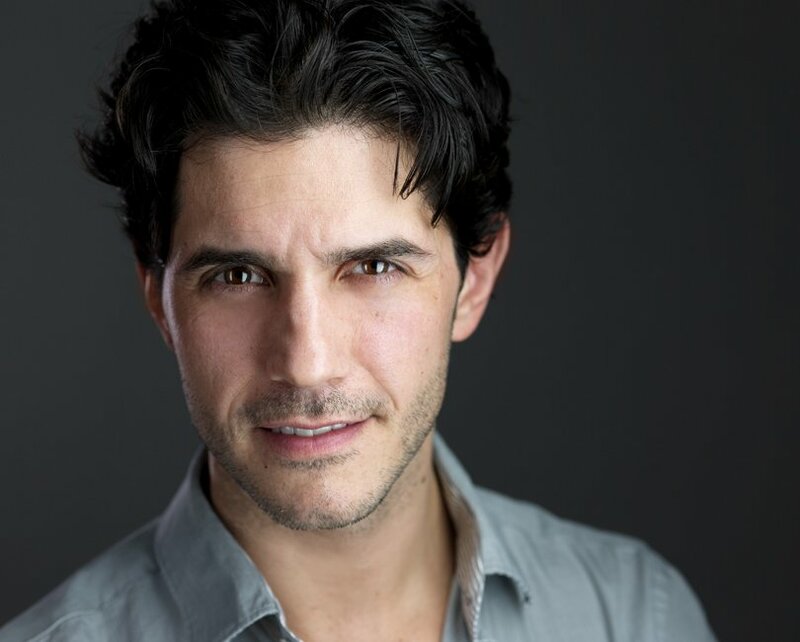 In less than 2 years, Mike Provenzano has quickly built his acting career with the help of some tricks he learned from the corporate world. ActorCEO 94: Bridget McKevitt Just Graduated – Now What? 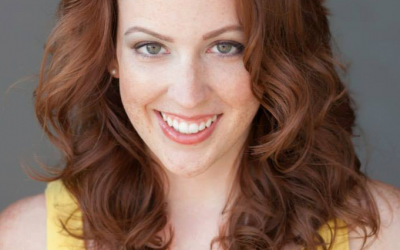 Bridget McKevitt is no stranger to the transition phase after graduating from acting school. 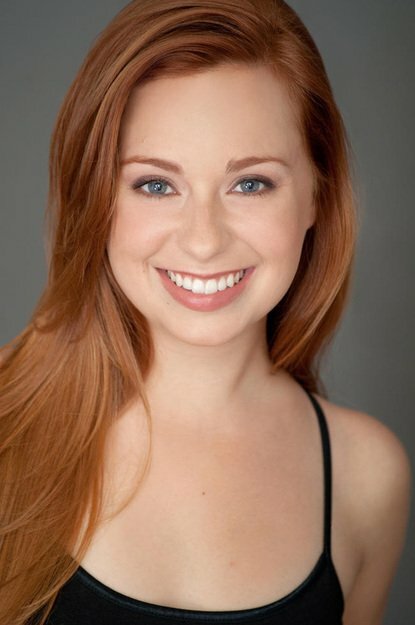 She studied at the 2 year Maggie Flanigan conservatory in New York, before going to MFA school, and began building a career as a working actor. She’s been on Person Of Interest, All My Children, the film Days And Nights, and the HBO EMMY nominated, Casting By. Taylor and I talk about what actors can learn from creating their own work and why it’s more important than ever to share the real, everyday voices of the people and characters you create. Elizabeth has been seen opposite Kristen Wiig in the film Girl Most Likely, the Netflix show Gypsy, Person of Interest, The Black List, Royal Pains, I Love You But I Lied, Gossip Girl. Up next, you might catch her on the upcoming AMC show Dietland and the new Ocean’s 8 film. 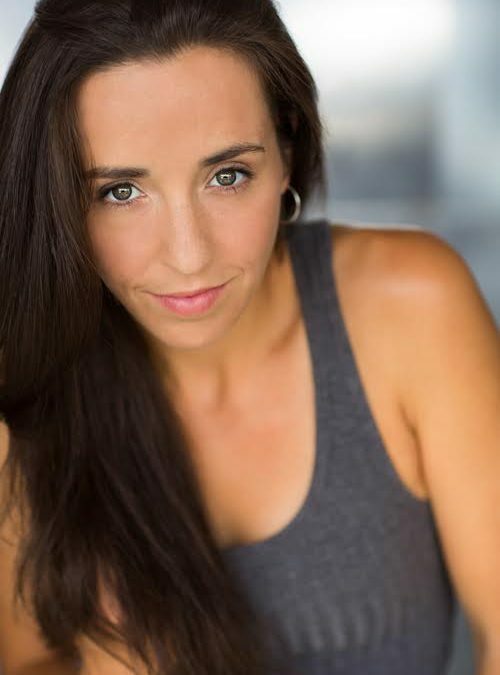 Elizabeth is a voice actor and has done several national commercials both on-camera and behind the mic. She is also proud to be a teacher at the Terry Knickerbocker Studio! 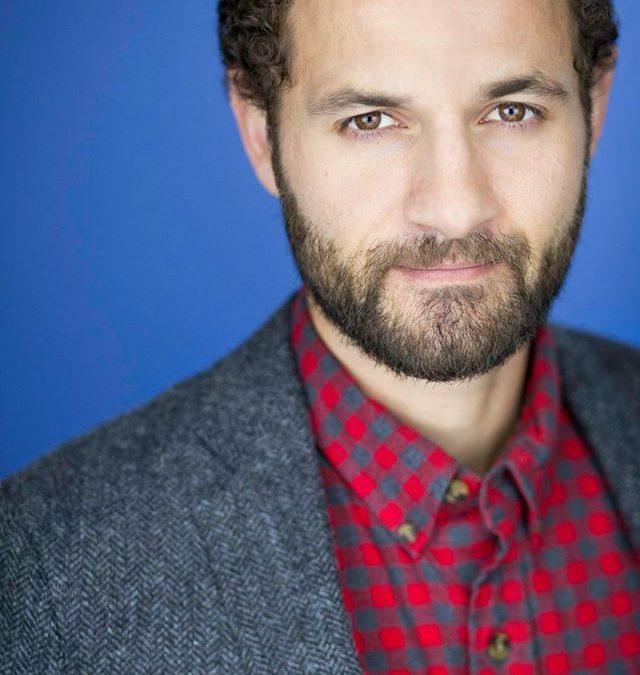 Jeremie Loncka is an actor with the Actors’ Gang Theatre Company in Culver City where he serves as Director of Programming for The Actors’ Gang Prison Project. In this episode Kari Nissena of Actor Transformation discusses the importance of spending time on the actor’s digital and social foot print. How can you make sure your spending your money and time in the right places and not opening yourself up to social media faux pas. 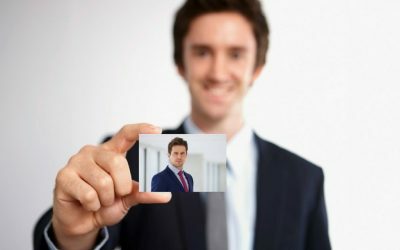 As we have discussed on the show before, now is the best time to take charge of your career because you as an individual have more reach than ever. 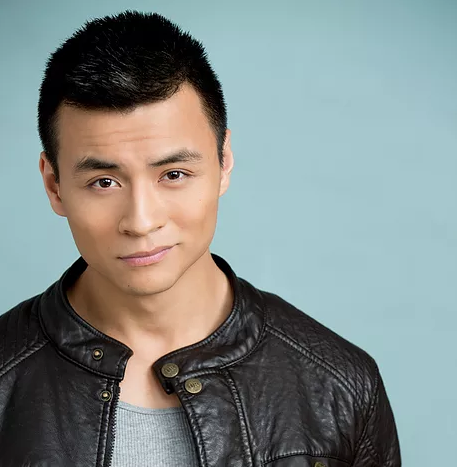 David Huynh is an actor based in New York. Off-Broadway, he recently appeared as Kenji in No-No Boy with Pan Asian Repertory. 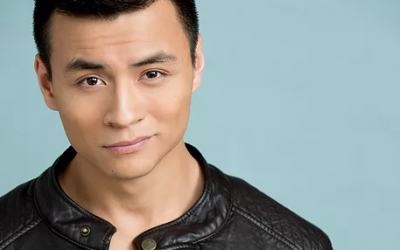 His regional credits include Quang in Vietgone at TheatreSquared and Mixed Blood Theatre Company, the latter winning an Ivey Award for Best Acting Ensemble. 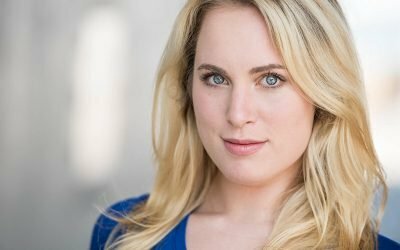 Abbie Getty is an NYC based actor, teacher, and voice actor. She has a master’s in classical acting from the Royal Birmingham Conservatoire and specializes in playing fierce and witty women. 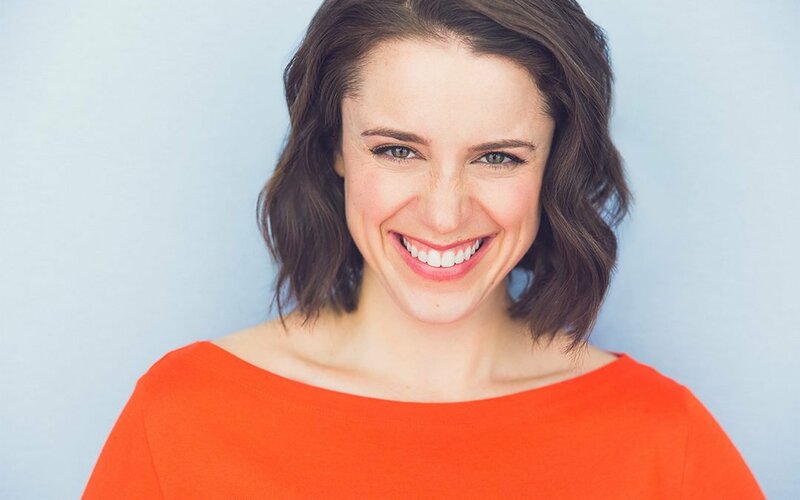 Abbie shared her experiences of transitioning from Grad School to the working actor life and some tips to make that transition easier. 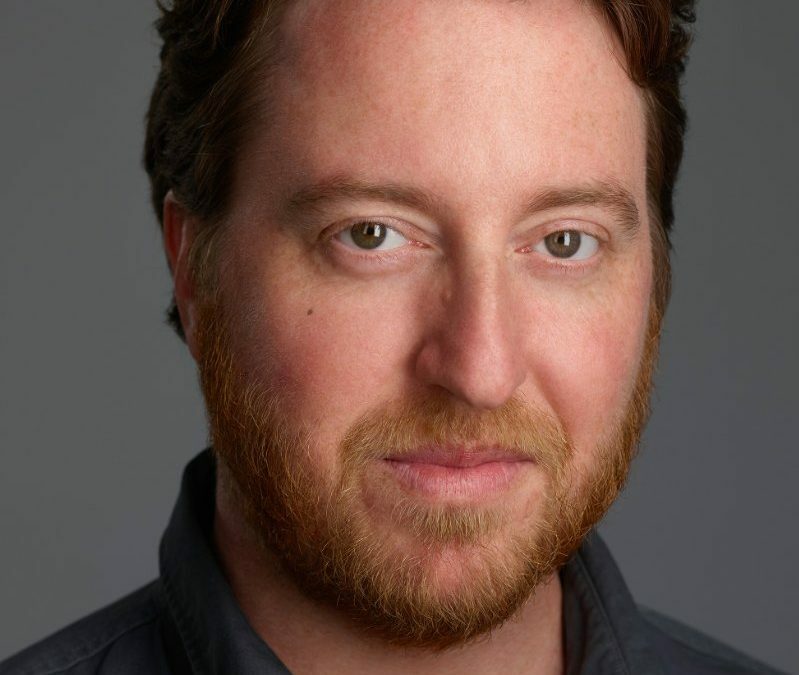 Ryan McCurdy is a New-York based Actor/Musician, Music Director, and Music Supervisor who has worked on Broadway, Off-Broadway, and regionally at Rattlestick Playwrights, Manhattan Theatre Club, Second Stage, Hudson Valley Shakespeare, and HERE amongst others. 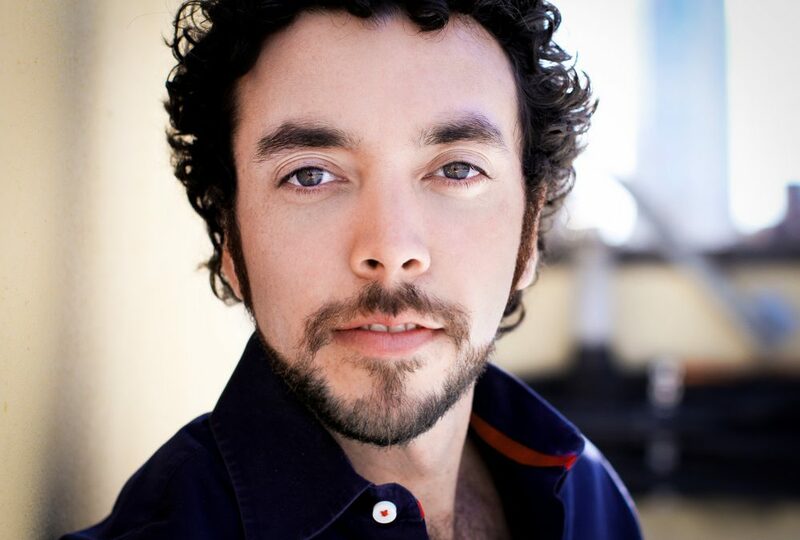 He is a twelve-instrument singer/songwriter and co-founder of the rock band Bonfire Falls. In 2016, she and Tim Eliot founded Form & Pressure Films to tell stories that inspire and provoke thought, while encouraging diversity and equality on set and on screen. Well before the “inclusion rider” statement, Lauren and her company were working hard to ensure everyone with the skill was adequately represented above and below the line. Alveraz Ricardez always had a passion for acting, but life tends to take many artists on detours. Having spent some time away from that passion and coming to the end of his work to obtain a law degree, Alveraz had just to take the bar exam to begin pursuing a career as an attorney at 43 years old. There was just this little voice inside that asked him to give his dream of acting one last chance before moving on. He listened. 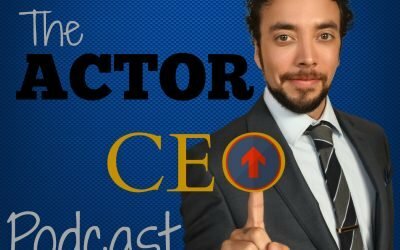 The Actor CEO Podcast is now on Patreon.com. You can support the show you love made by actors for actors. 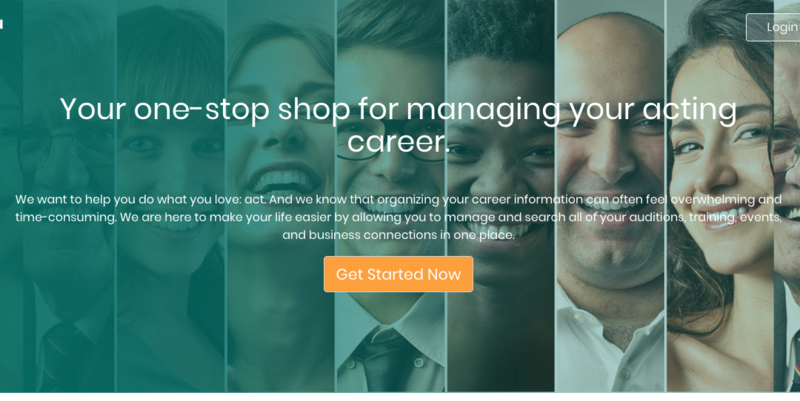 Learn all about treating your career like a business with weekly interviews with industry pros. 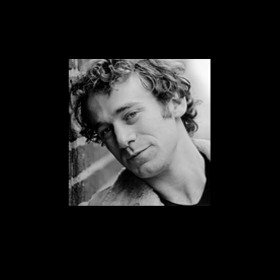 Jamie H Jung is an English-American actor. 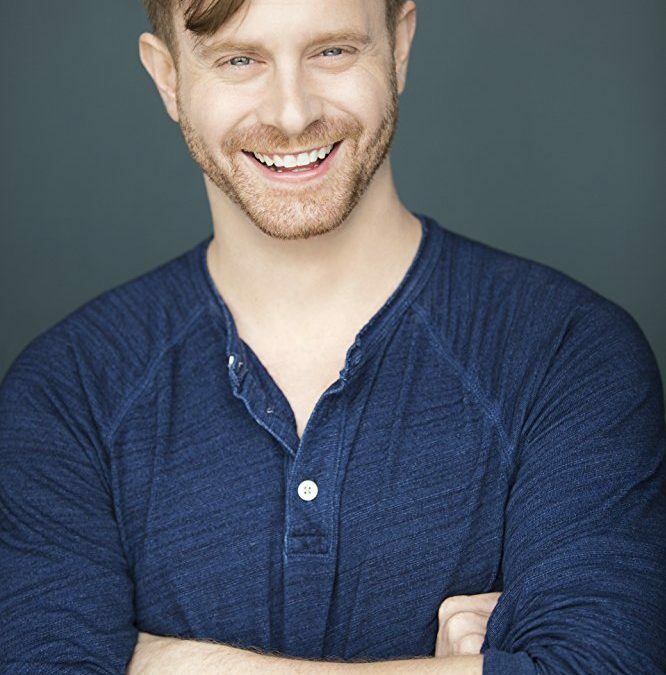 He pursued Performance Studies at Queen Mary College of the University of London and continued to train for 3 years at the Stella Adler Conservatory in New York City. Don’t miss his feature film “Monday” which is part of the Rebel Without A Crew project screening at the SXSW Film Festival next month. 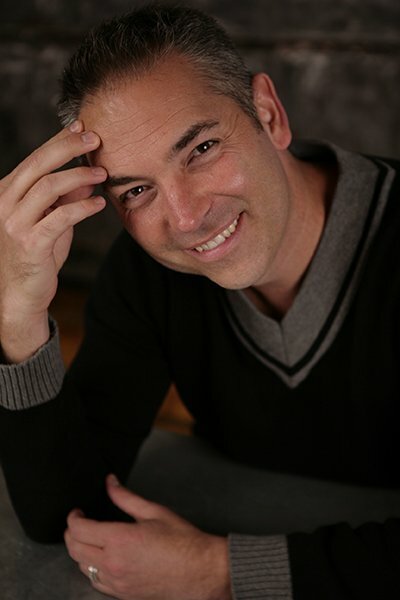 Andy Roth is one of the most popular voice over casting directors in the business with over two decades of experience. 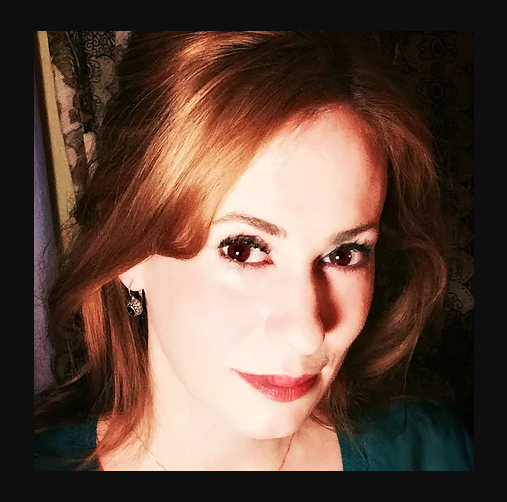 Tawny is a full time professional voice over talent/coach (with her editor and husband George), podcaster on The Dirty Bits Podcast on the Orbital Jigsaw Network, and marketing/business consultant in San Diego, California. During her senior year in high school, Tawny began the process of purchasing her first brick and mortar retail store. 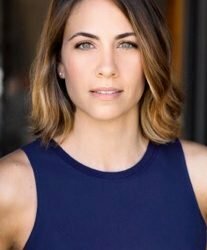 After selling the store to her management team in 2016, Tawny began her career as a voice over talent, having been a child actor in San Diego. Los Angeles theater is always a challenge. Jonney Ahmanson is an actor that has taken on that challenge for over 10 years with his own theater company, Poor Dog Group. 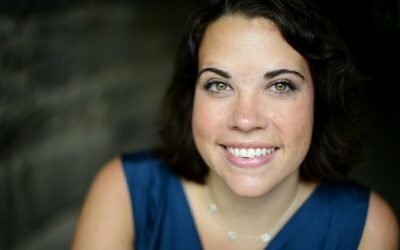 Want to create a solo show but don’t know how? Don’t want to have it be the same as all the others? Pandora Scooter can teach you. 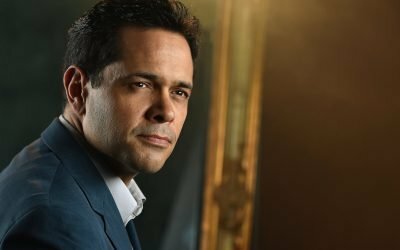 Mauricio Bustemonte has some simple explanations of method acting and why it works so well for film and television, and what makes it so attractive to actors. He’s a teacher of almost 40 years at the Lee Strasberg Theater and Film Institute. Fisher Neal is an actor with a unique side job. He runs LearntoHuntNYC.com and teaches city slickers how to hunt. 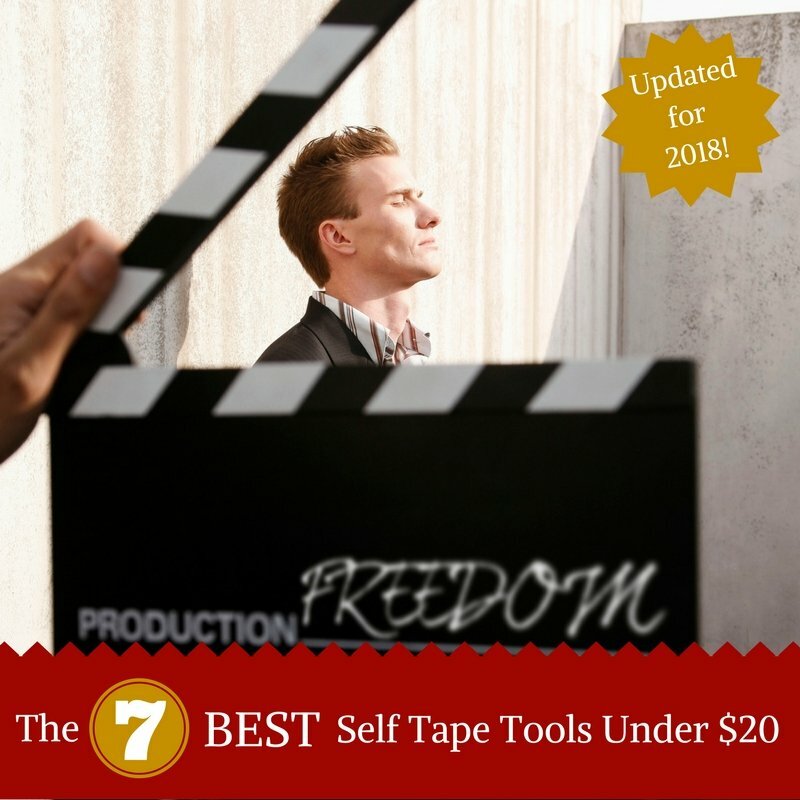 Here is my list of the 7 best acting self tape tools for under $20 to help you capture a great audition from wherever you happen to be. You can use just a couple to have a professional on-the-go set up, or you can add them together to build out a streamlined kit in your apartment that makes your last minute audition look and sound spectacular. 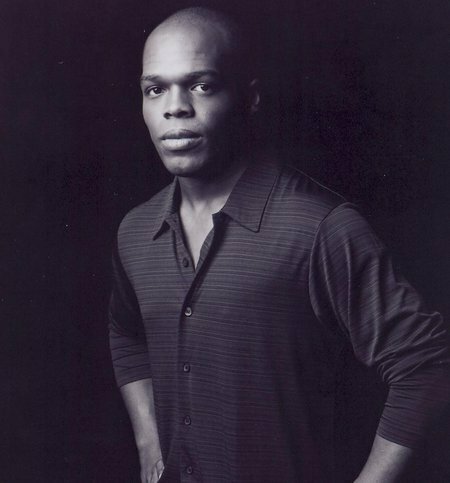 Clifton Samules offers insights that have helped him as he has worked with the Cohen brothers, on NBC’s The Blacklist, HBO’s Boardwalk Empire and on Broadway. 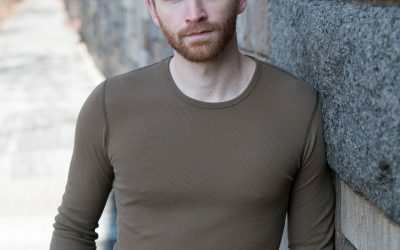 Michael Frederick teaches workshops all over and helps actors get out of their own way using a method of body and mind alignment called the Alexander Technique. Take a listen to some of my favorite selections from our 2017 interviews. Molly Goforth is a Spiritual Wellness Practitioner and the founder of An Actor Repairs, which offers workshops and facilitation to help actors reclaim the joy in their artistic lives. Jeff Seymour started work as an actor in Television in 1979. In 1980 he began teaching acting. As a teacher, he’s travelled all over north America and Australia, teaching and lecturing. He wrote the highly acclaimed book on acting, The Real Life Actor. He currently has a podcast on iTunes about acting and the business. 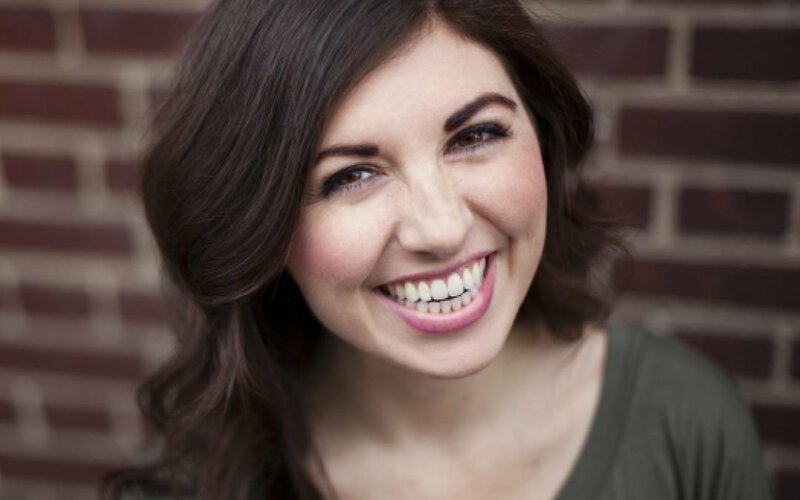 Alexandra also owns Mustard Seed Entertainment whose film “Catching Faith” had a two year run on Netflix and can be found on the shelves of Wal-Mart. Her most recent film “Wish For Christmas” sold to Pure Flix Entertainment and Universal Studios Home Entertainment. Brendan Sokler is a NY based actor who is the co founder of Punching Up Productions. He and his producing partner Max Clark were recently up at Just For Laughs and ITVF with one of their pilots. They are starting a reel service for actors called For Reel. 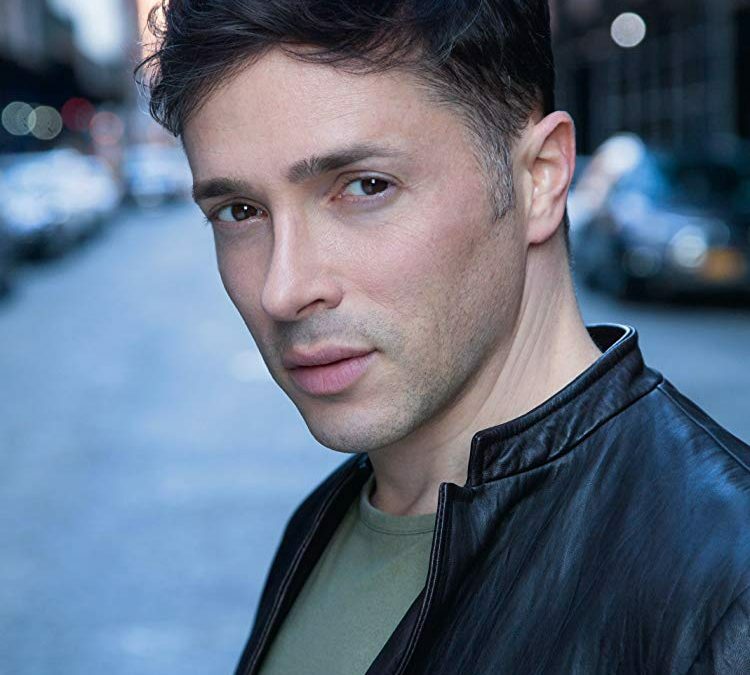 Julian Silver grew up in Boston to a mother from a large Korean family and a father from a tiny Jewish family. He went to Wesleyan University to study film and psychology. After graduating, he moved to LA to pursue a career in film and television. He is currently writing for CBS’ SEAL TEAM, and will appear as a guest star on ABC’s GREY’S ANATOMY in November. 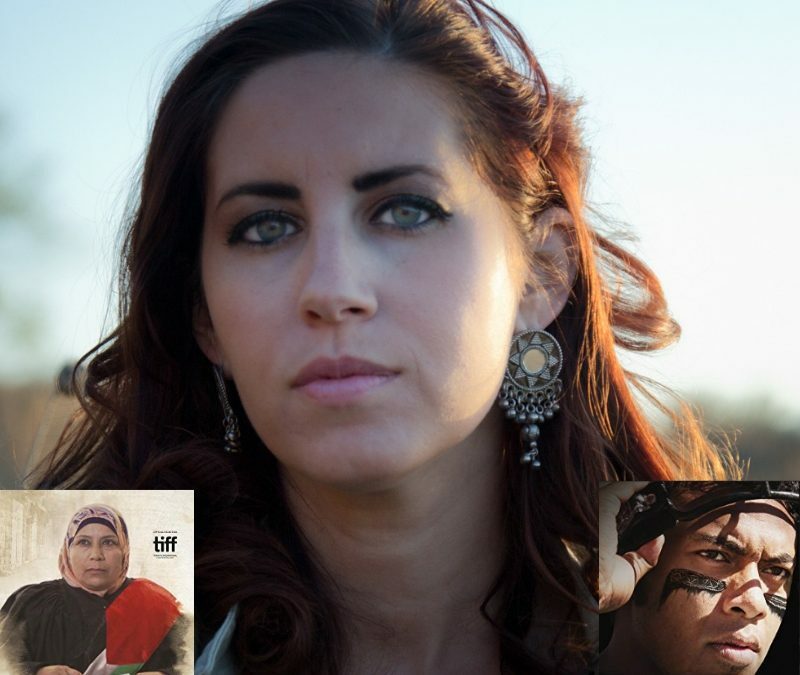 Victoria Negri is an award-winning multi-hyphenate filmmaker. Her feature directorial debut, Gold Star, which she wrote, directed, produced, and starred in, alongside Oscar nominated actor Robert Vaughn in his last on-screen performance will see a November 2017 theatrical release and on video on demand. 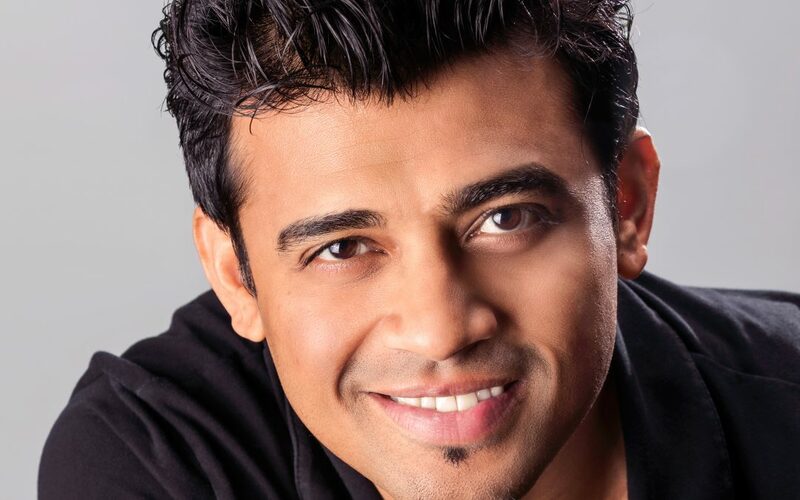 Rish comes from an engineering background but has decided to follow his passion of acting. 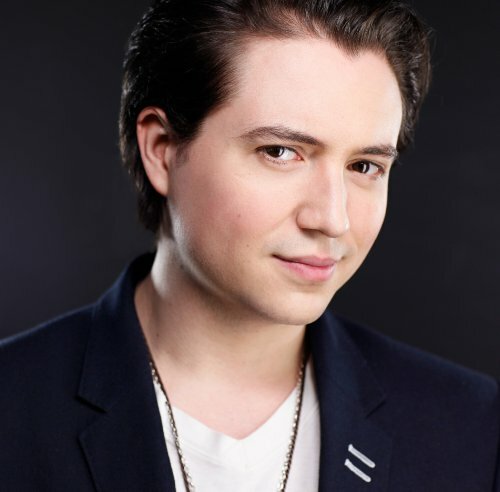 He is taking somewhat of a non-traditional path with workshop classes and studying filmmaking through an online course. 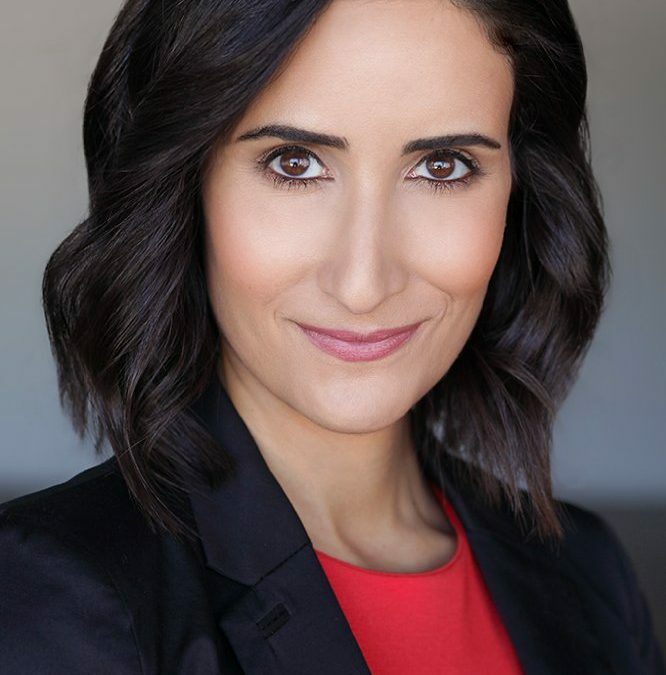 Mary Dallas is a Greek actress from Chicago who decided to move out to Southern California and pursue her dream of creating an acting career for herself at the age of 48. 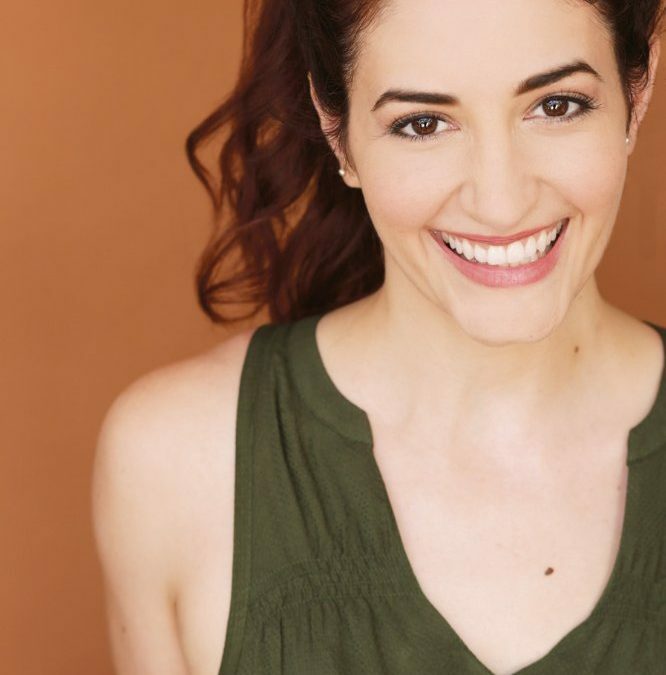 This is certainly not your typical story of starting out in Hollywood, but Mary has put in the work to courageously learn all she can about her craft, and take no prisoners when it comes to hustling auditions. 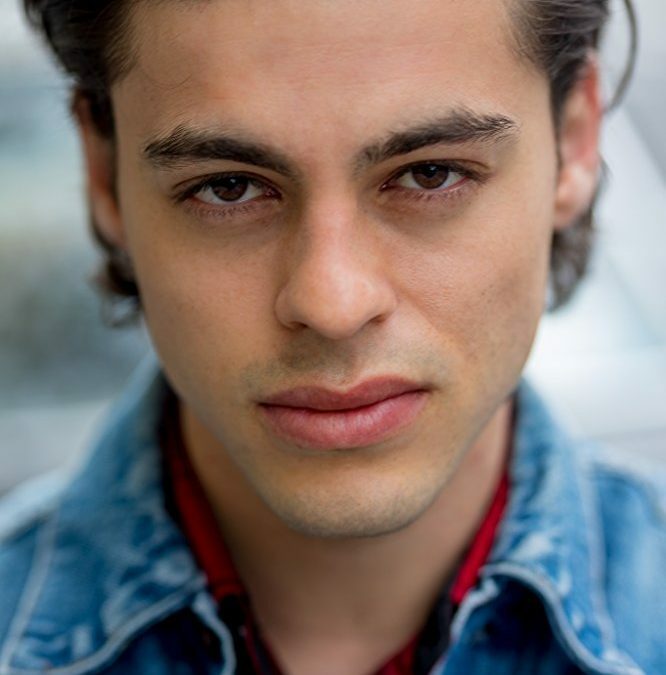 Reynaldo Piniella is an actor who was born and raised in NYC. He knew he wanted to be an actor early on and auditioned for BFA school. Twice. Sadly, both times he was not given the opportunity to join a degree program, but that did not stop him. If there is one thing that inspired me out of our interview it was Reynaldo’s unwavering commitment and focus on becoming an actor. 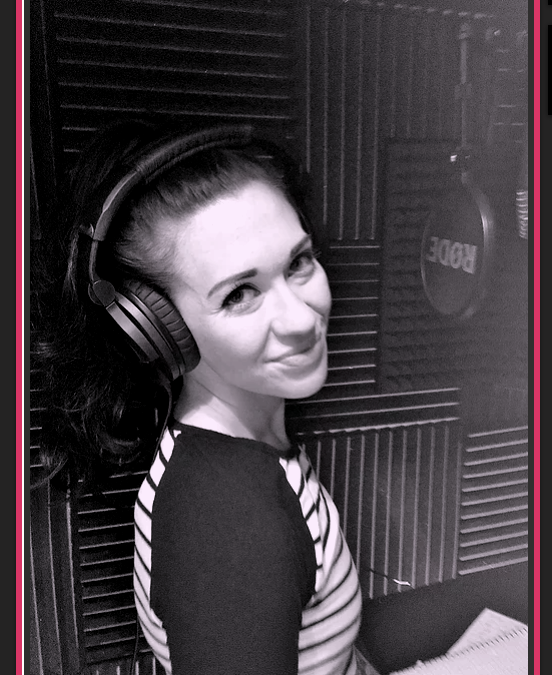 Steph Lynn Robinson is an actress & producer best known for her animation voiceover work. Audrey is an actress and entrepreneur. As a self-proclaimed “gypsy actress” not bound by a physical location she has representation in multiple markets and travels coast to coast. Filipe Valle Costa currently stars in the new FX series Snowfall, a show that follows the growth of the crack cocaine epidemic in 1980s Los Angeles. 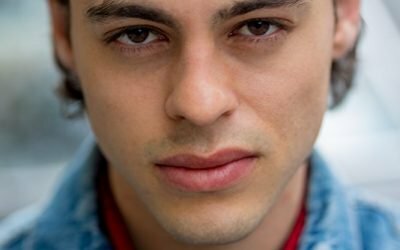 Filipe had a wild ride when auditioning for the role and talks all about the craziness that an actor can experience when in that limbo of Yes or No from casting. acting business that best suits your and become the entrepreneur that you can be. There’s gunna be lots of resources, interviews with some of my guests, exclusive Q & A’s, I’ll be going live in the group a lot to talk about some of the latest developments in the entertainment marketplace and also really to help motivate you guys to stay committed to making this career your own and being in control of your own work. 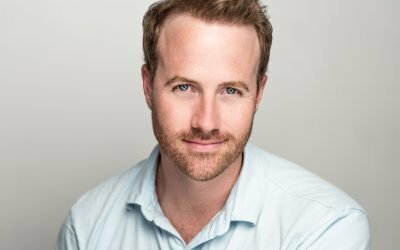 Producer Dewey Moss jumped on the podcast in the middle of his Off Broadway run of the critically acclaimed and award winning The Crusade of Connor Stephens​ to talk about what it takes to be a professional theater producer. 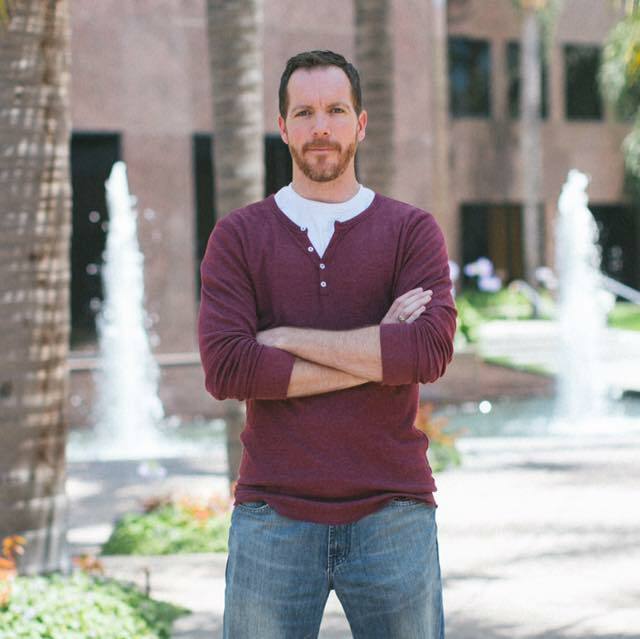 His experience as a writer and director of both film and theater gave him the creative experience of knowing how to create projects, but there is a whole other side to getting the funding in place to build these projects out to their full potential and ensure they get the exposure and life they deserve. It’s one thing to create your own work to give yourself opportunities you’re currently not getting in the casting offices. It is a whole other thing to be devoting yourself to creating work and telling stories because you feel those voices need to be heard, and you want to see those underrepresented stories become part of the mainstream conversation. Miriam Hyman is a force to be reckoned with. Her determination and passion for acting and music is infectious. Her poetry is clever and inspiring. Her ability to run with two different careers at the same time seems impossible, yet she’s killing it. So take a moment to get to know the woman behind such creative commitment. Being “perfect” is uninteresting, so forget about being right. Take yourself seriously enough that you are willing to listen when you’re uncomfortable, explore when you’re vulnerable, and choose to deepen your understanding of skills or practices that you want but don’t have yet. You are in control and no one but you can improve upon that spiritual and creative part of you that shines though most brightly when you are confident enough to let go of all the “what ifs” and outside expectations. Deliver you. That’s what you should be most proud to do. 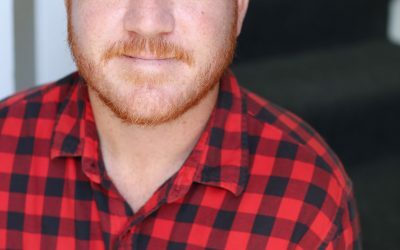 Spencer Streno and Build a Book create custom compositions so musical theater actors can showcase their best work and KILL IT with never-heard-before songs. 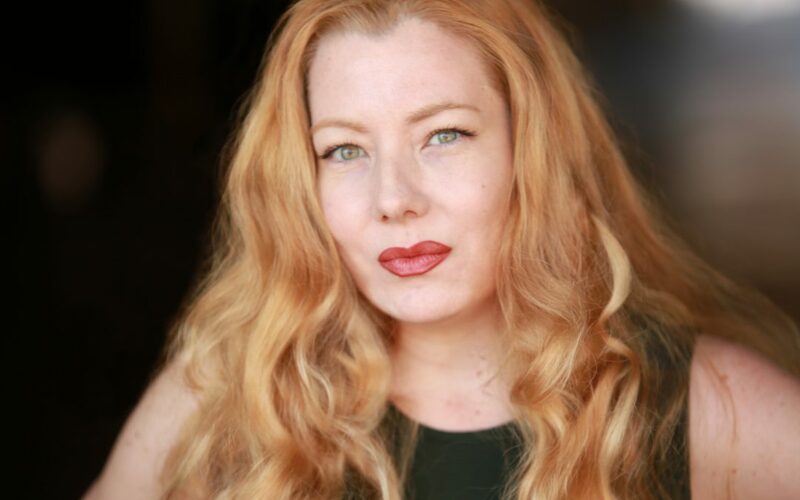 Sonja O’Hara, creator of Doomsday The Series, has become a driven force of nature as a creative actor, writer, producer and content creator. She has taken charge in a marketplace where there are so many opportunities available to those who decide to go out and make something rather than wait around for others to bring them on to projects. I say it all the time on this podcast. You’re an entrepreneur. You’re running your own business and you are the CEO of that business. No one is going to be looking out for your future but you. So get all the info you can from those in this industry, but also from those who run their own businesses in a completely different field. You’ll be surprised what you can learn. Episode 42: Chris Myers Inc.
Chris Myers has been an actor living and working in New York City since graduating Juilliard, but he has devoted himself to keeping a focused mind and always looking to find fulfillment in his life and his craft. Learning to avoid distractions, draining people, and unproductive endeavors has led him to a truly positive creative life. The Shakespeare Forum has been brining extraordinary productions, valuable FREE workshops, classical training to schools, and exceptional actor training to NYC for years. Make sure this is one of your first stops when arriving to NYC. 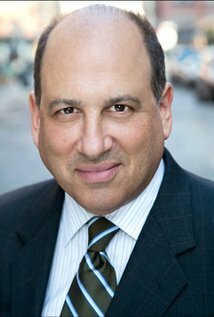 The brilliant character actor David Fierro shares some very funny moments from his audition war stories. 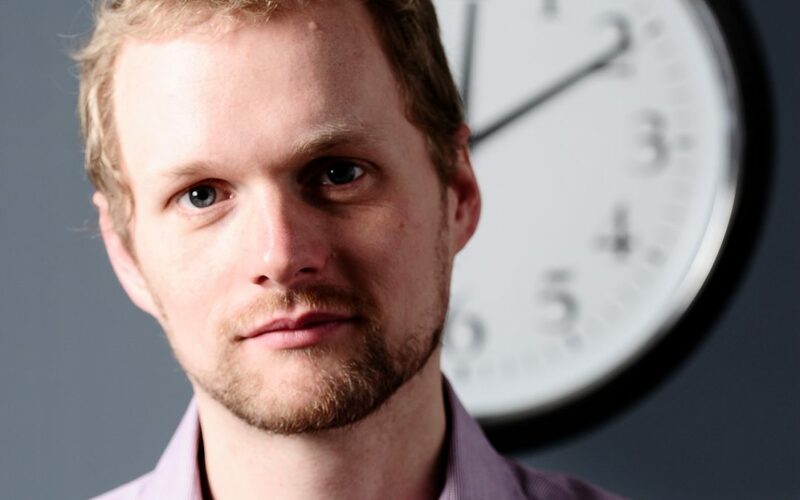 This episode is great not only thanks to David’s anecdotes, but also because he shares how his perspective on success and judging his own accomplishments changed as he booked work. He found new ways to look at the opportunities in front of him. Whitney is a triple threat! 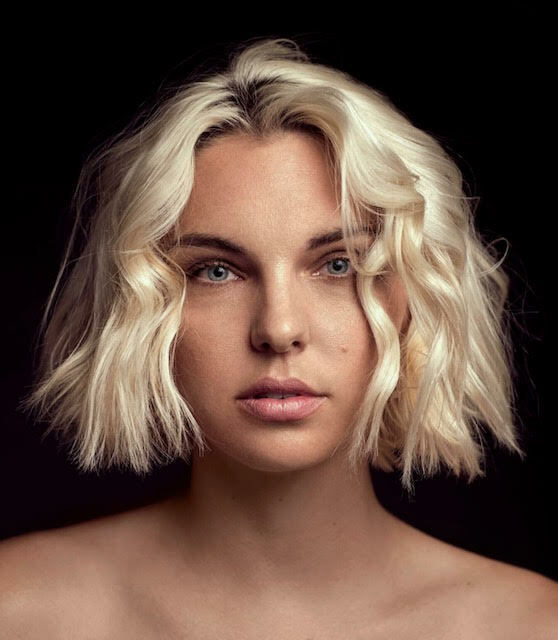 A singer, dancer and actor extraordinaire and she has created a whole other set of career options for herself as a concert singer. She took advantage of certain opportunities and allowed her self to have a separate stream of income and exposure. 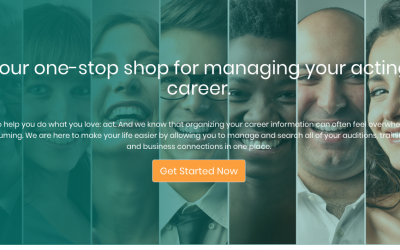 Be clever, be open, and use your skills to create the career and lifestyle you want! 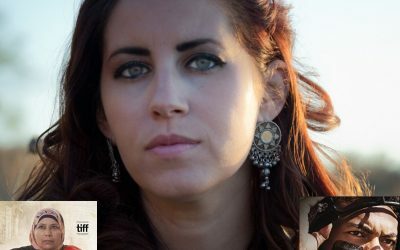 Jennifer Allcott is a California girl who has bounced back and forth from New York City to Los Angels grabbing opportunities left and right, and never loosing her free wheeling spirit. At least, that’s been my impression. 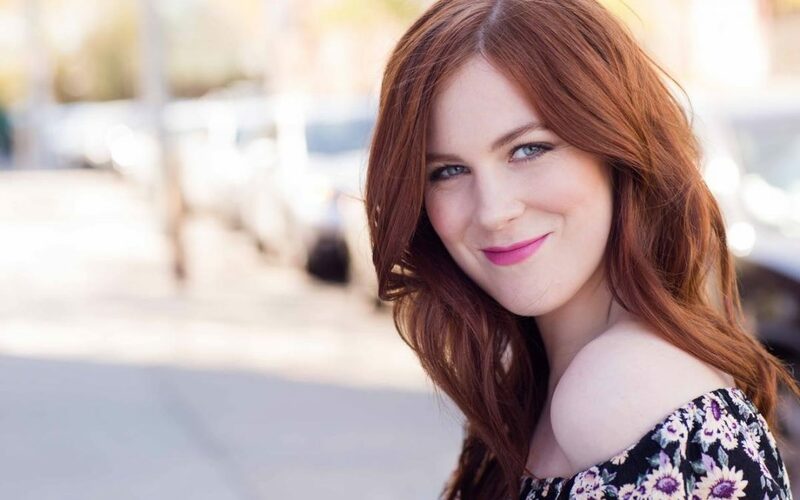 In this episode Jennifer does lay out some of the challenges of writing, producing, and acting in her first full feature she’s created with her best beau Josh Helman. The original goal was to create a short, but then the concept and ambition grew to the point where this four hander film became a 90 min down-to-earth story that has won some notable praise on the festival circuit. Never a stranger to pointing out the absurd or exciting, Jennifer gives us a glimpse into her triumphs and struggles as a working actress looking for opportunities, but also as a creative artists insisting on creating her own opportunities to tell stories that truly inspire her. It turns out, they resonate with so many others too. This industry has a tendency to highlight the most recent successes and enjoys the ol’ “rags to riches” story. The problem is that 99% of the time this is not accurate. There are plenty of actors who have spent years hustling, grinding, learning and working to get to the point where they are prepared enough to leverage a great opportunity that ends up landing them a project that gets them known by the public at large. 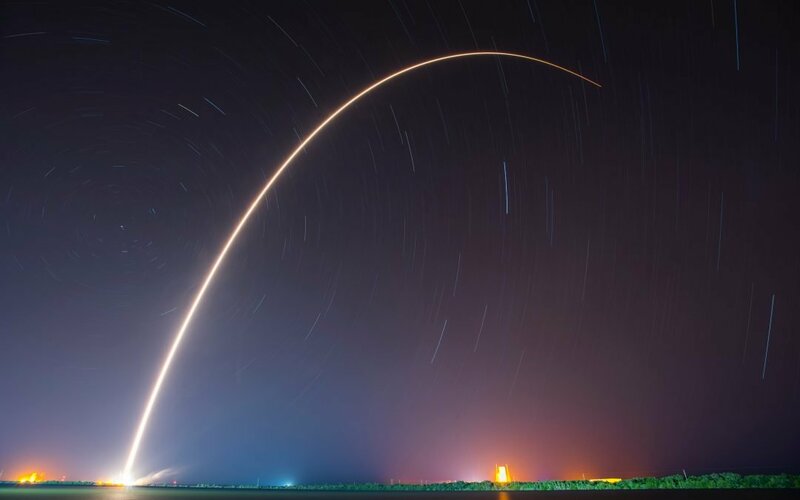 It can take 20 years (or longer) to become an overnight success. 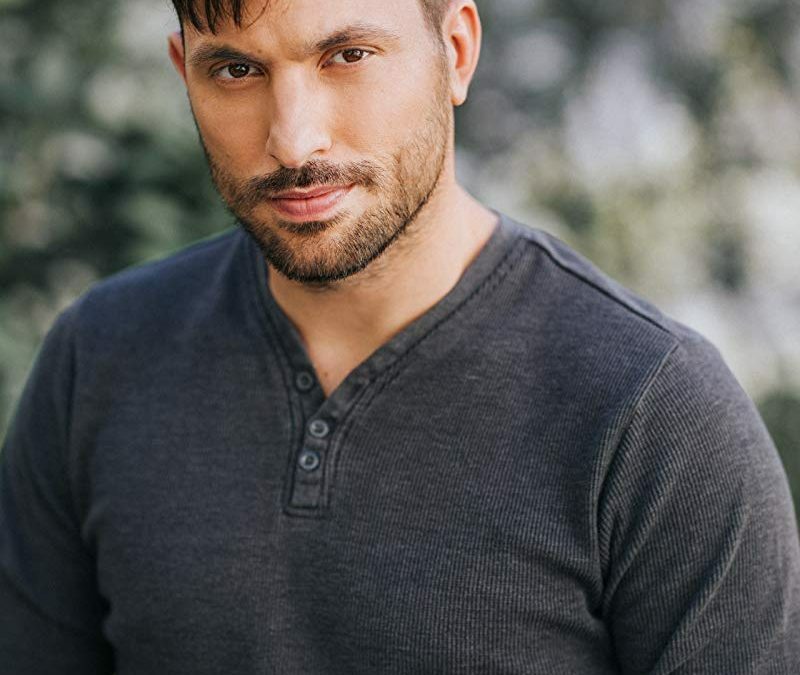 Jeremey trained as an actor at The Lee Strasberg Film and Television Institute and now teaches acting for the camera to both adults and young acting students. He has seen how effective Strasberg’s exercises and training are at bringing real moments into scenes that actors can repeat and rely on. Kate Hamil is a theater firebrand! She’s a long time member Bedlam Theater here in New York which has become a critical darling earning high praise from the New York times for multiple shows, including adaptations of classic literature like Vanity Fair, Pride & Prejudice, and Sense and Sensibility which is now performing regionally. The industry has expanded in such a way that actors have many avenues in. It may not always seem like it, but if you can start creating your own content, you’ll find a host of outlets looking to fill their lineups. 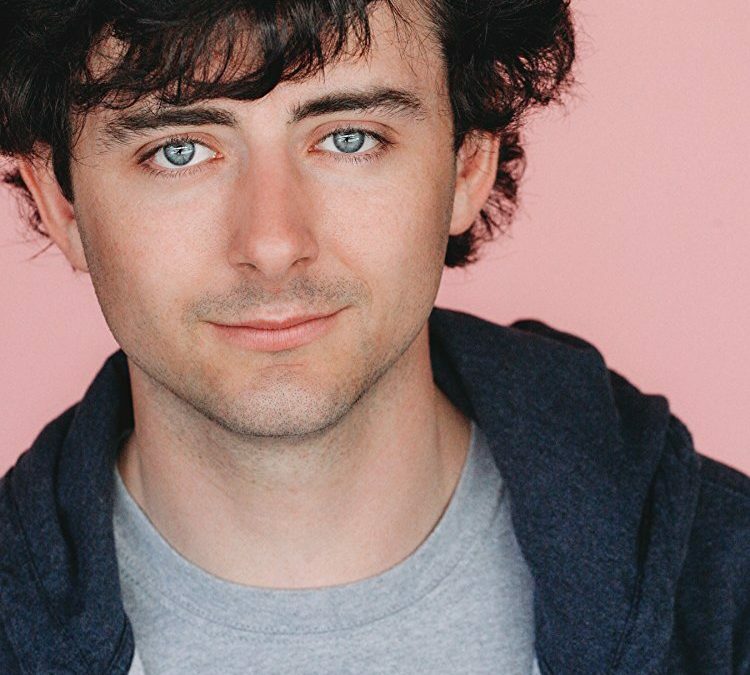 Tyler Hollinger has created a career for himself out of hustling the independent film market like a pro. He works hard to create content on his own while still working as an actor on network TV, feature films and the independent scene. 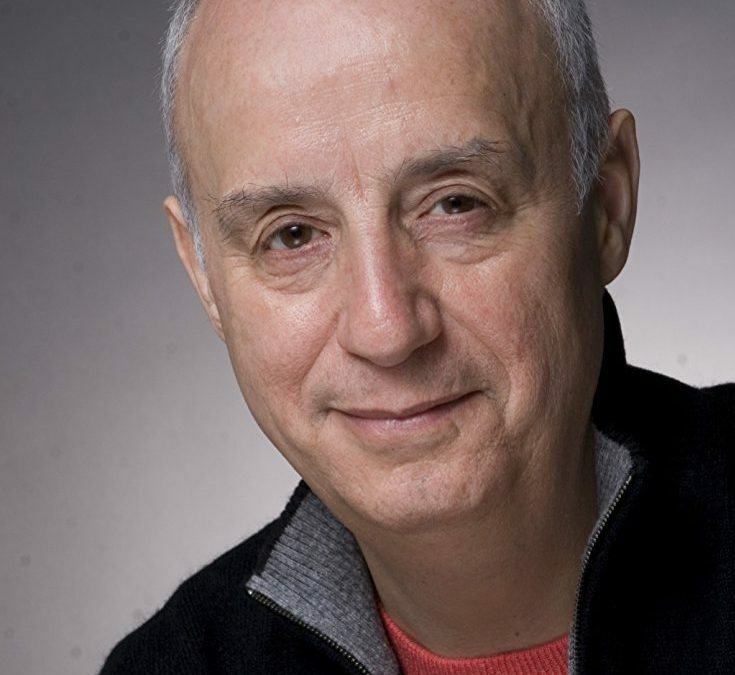 Michael Kostroff bring a wealth of audition experience to his Audition Psych 101 workshops and purposefully keeps them at VERY affordable rates. 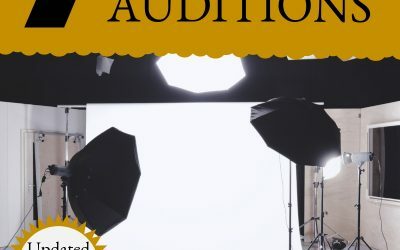 He wants actors to have the ability to practice the skills necessary for improving auditions and more importantly wants to bust many of th myths surrounding the process. He breaks down some of the highlights from his workshops in this episode Plus, Michael has provided a Audition Psych 1010 discount exclusive to ActorCEO’s! 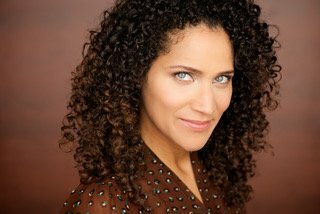 Episode 30: Tony Nominated Elizabeth A. Davis on playing Goneril in King Lear. 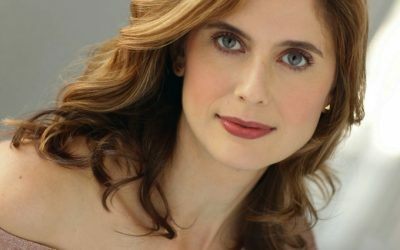 Elizabeth shared her experience and process working on King Lear with fellow TONY Nom. Austin Pendleton (Lear) at The Secret Theater Off Broadway in NYC. 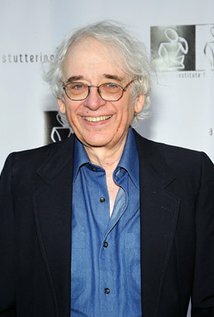 Austin Pendleton is the “never-stopped-working, been-there-done-that, hard working, longtime character actor” you never hear of. This is his third time laying King Lear and one of the many times he has graced the stage off broadway. 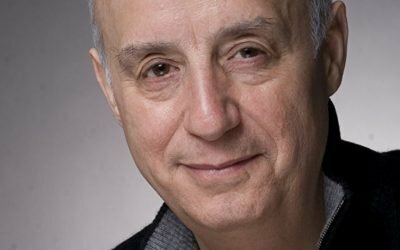 HIs career spans films (My Cousin Vinny, A Beautiful Mind, Finding Nemo), Broadway, Off Broadway and even Tony Nominations and Obie Awards for directing plays. The industry has an extraordinary number of fields for an actor. 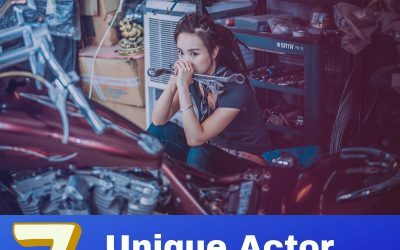 Stunts is one that deserves more attention as actors who are physically capable and inclined towards learning the different skills can build an exciting career. 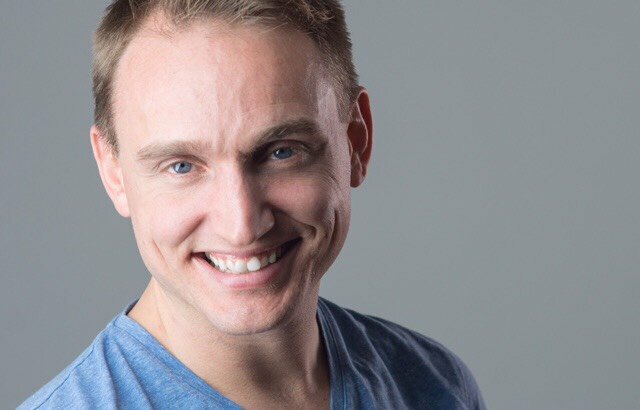 Tim Losee has been working as a stunt performer and coordinator for the past 5 years and he shares what it takes to get involved in this side of this business and how actors can be safe when presented with stunts themselves or stunts happening around them. At the end of the day you want to make sure you are well enough to come to work tomorrow! Tim also agrees with many stunt performers that stunts should be recognized at the Oscars. This episode gives you a glimpse into this impressive but sometimes elusive action packed side of this business. Taxes for actors can seem like a tough thing to figure out. Most artists stress out when this time of year arrives. I get it. We are contract employees that work many different jobs and many of those may put the burden on us of setting aside the money to pay taxes on those paychecks. It can all be overwhelming. That’s why I reached out to Dominic Comperatore to help. 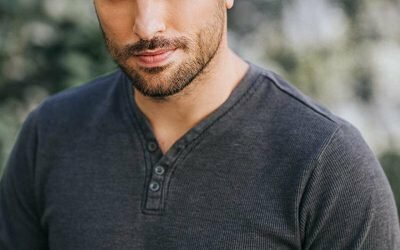 He’s been preparing taxes for actors for years now and as an actor himself he knows exactly what it’s like to deal with multiple employers, not always have the most efficient paperwork, and struggling to ensure you’ve saved enough. Luckily he has the experience to set up a system that ANYONE can follow to create a stress free tax time for the hard working artist. Take a listen, take notes, and take control! 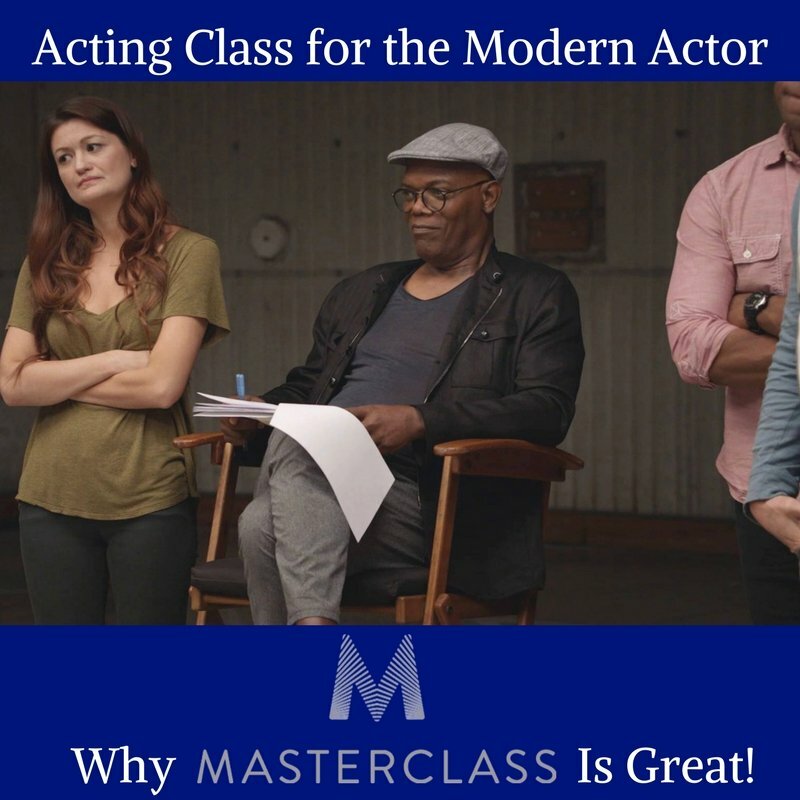 If you choose to take the MFA route you have to know the process of auditions and prepare yourself with the best material possible. 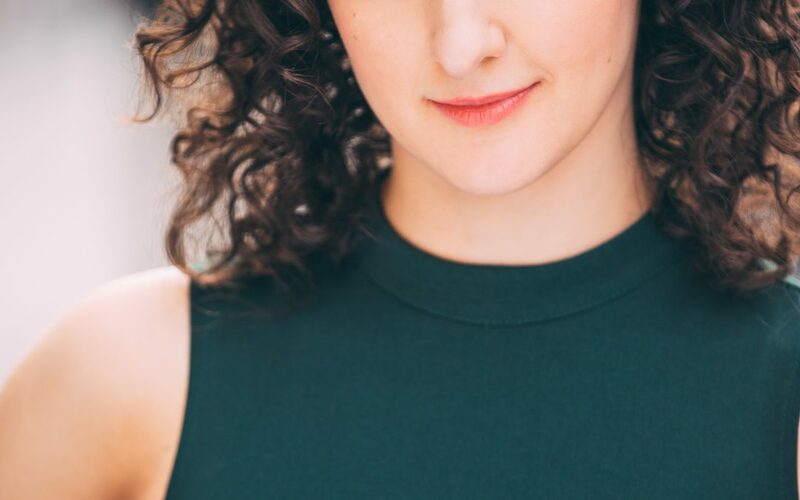 This is where Carly Zien can share her expertise and coach you to choose a piece that glorifies your strengths, stands out, and creates a dynamic audition to remember you by. 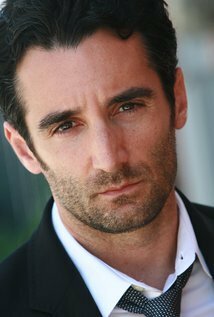 Ben Curtis is a terrific actor and all around artist. You’ll remember him from his huge commercial campaign with Dell Computers, but since then he’s worked in film, tv, and stage. He also owns a health/wellness company call Soul Fit NYC. Baron Kelly has held a commanding presence as a theatrical scholar and acting professor for two decades. 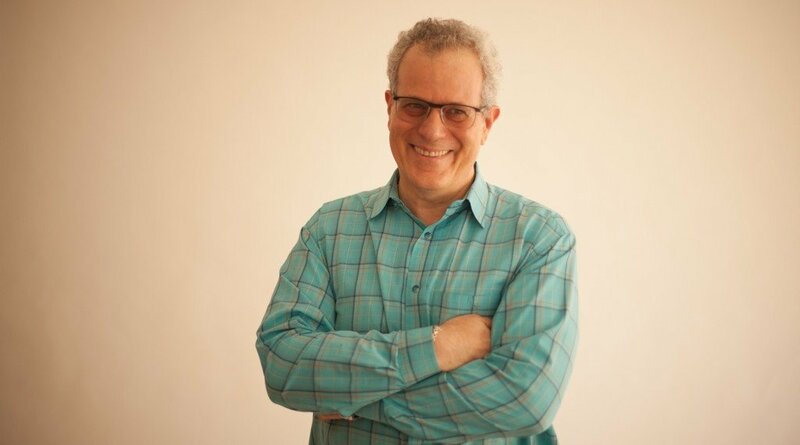 With a PhD in Theater History, Criticism and Literature from the University of Wisconsin – Madison he is A four-time Fulbright scholar, working as a professor of acting and a lecturer across the globe in places like Russia, Finland, Taiwan, China, and Italy. 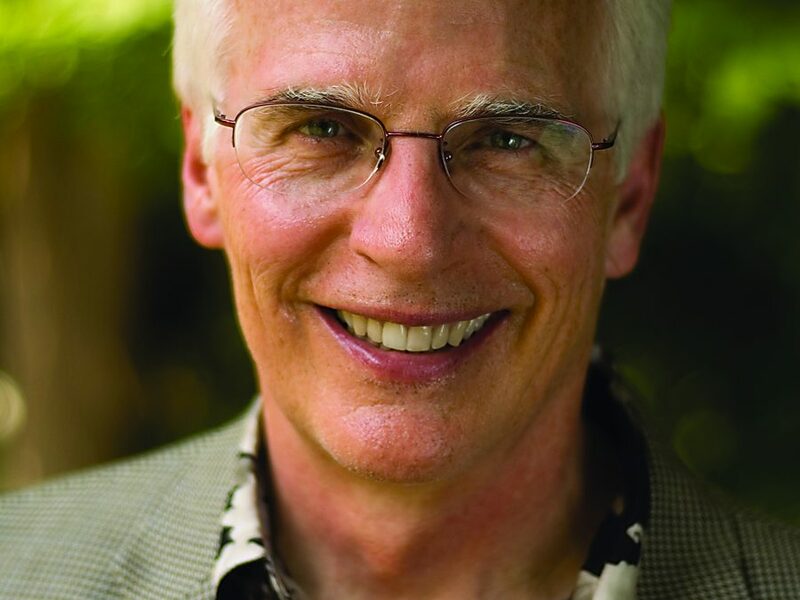 Here in the states he has taught at CSU Long Beach, University of Wisconsin-Madison, and Harvard University, to name a few, with his current professorship at the University of Louisville, Kentucky. 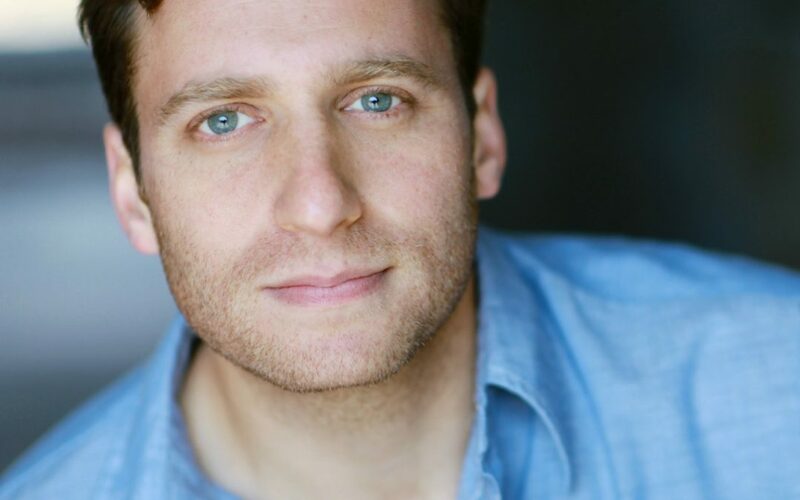 As an actor he has played on Broadway alongside Al Pacino, starred in the world premier of Angels in America, was directed by Clint Eastwood in his film Bird starring alongside Forest Whitaker, and has played on stages all over America including Yale Repertory, The Mark Taper Forum, Oregon Shakespeare Festival, San Diego’s Old Globe, and The Guthrie Theater. 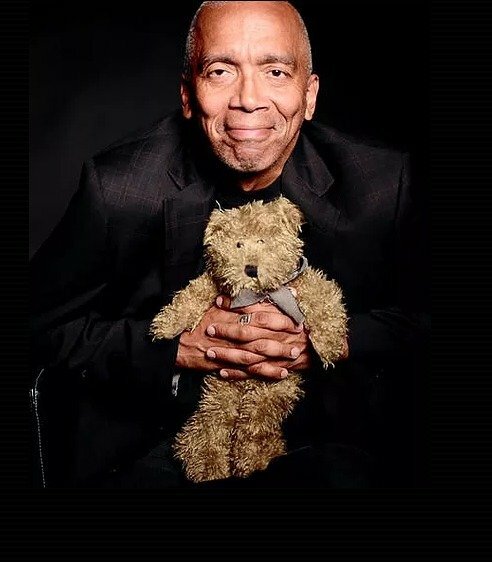 His writing has been published across the country and internationally in the Oxford University Press, The Los Angeles Times, and American Theater Magazine and now in his latest book on acting entitled An Actor’s Task: Engaging the Senses is available through Hackett Publishing. Yvonne Cone is one of those versatile artists who as a fiery drive and works hard to find a way to get her goals accomplished. Sometimes that’s through helping others build their dreams and sometimes that’s through calling in favors to build hers. She is an NYC-based actor, producer, writer, dancer and yoga teacher. 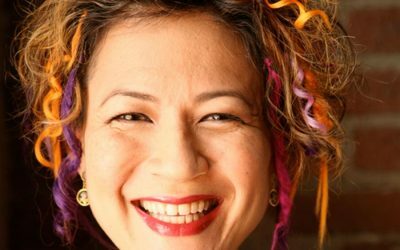 She is the Founding Artistic Director of Shrunken Shakespeare Company and is soon to be taking on the new position of Executive Director. Her work in the theater includes Shrunken Shakespeare Company: King Lear, Ira, What We Know: An American Retelling of ‘Three Sisters,’ A Midsummer Night’s Dream, The Two Gentlemen of Verona, Kill Shakespeare; Off Broadway: The Pearl Theatre Company: The Sneeze; La Mama: Firebird; HERE Arts: Gymnos (NYIT Award Winner); The Barrow Group Theatre Company: People on Fire, The Tarantino Variations, Below and Process; Regional: Shakespeare & Co.: Pericles and The Hound of the Baskervilles(American Premiere); Maryland Shakespeare Festival: Midsummer, Love’s Labour’s Lost andShakespeare Alive (Educational Tour); Shakespeare Orange County: Henry V, The Tempest and The Merchant of Venice; Colonial Theatre: The Tempest; American Shakespeare Center: The General of Hot Desire; TV: The Mysteries of Laura; Film: Falling, Take Me With You, Sweet Thing, Bad Blood. 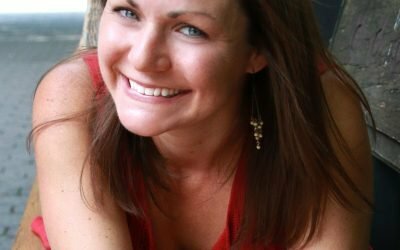 Yvonne is also an acting coach and in the past has taught regionally, privately and with Off-Broadway’s Classic Stage Company. Yvonne has a BFA from Chapman University and is an alumnus of Shakespeare & Co. Listen to her talk about building a committed community of artists and how she has leveraged high-value connections to create terrific artistic relationships. 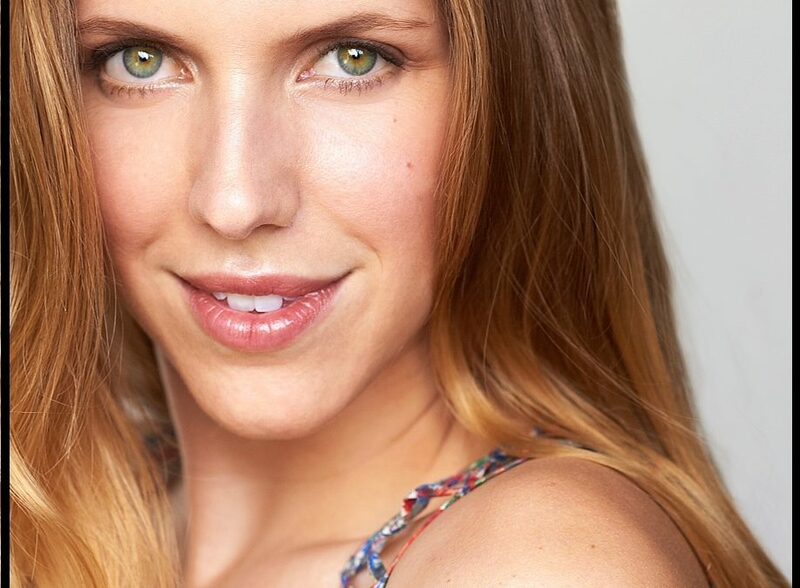 Danielle Beckmann is an actress, comedienne, and producer with multiple projects under her belt. 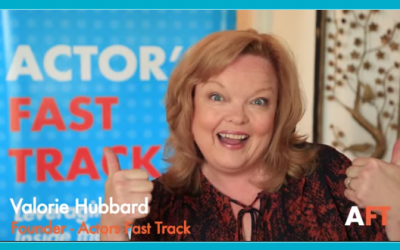 She is also a coach to actors working with The Artist’s Toolbox, which provides free mentorship and other services, and her own coaching service called Clinch the Callback. Pete Malicki has been writing for close to 20 years now, with 5 novels, 80 or so plays and a plethora of other bits and pieces under his belt. Trying to mix up his style, he tends to gravitate towards story-based contemporary fiction, with characters who have strong, distinctive voices, seeking ideas everywhere and anywhere. 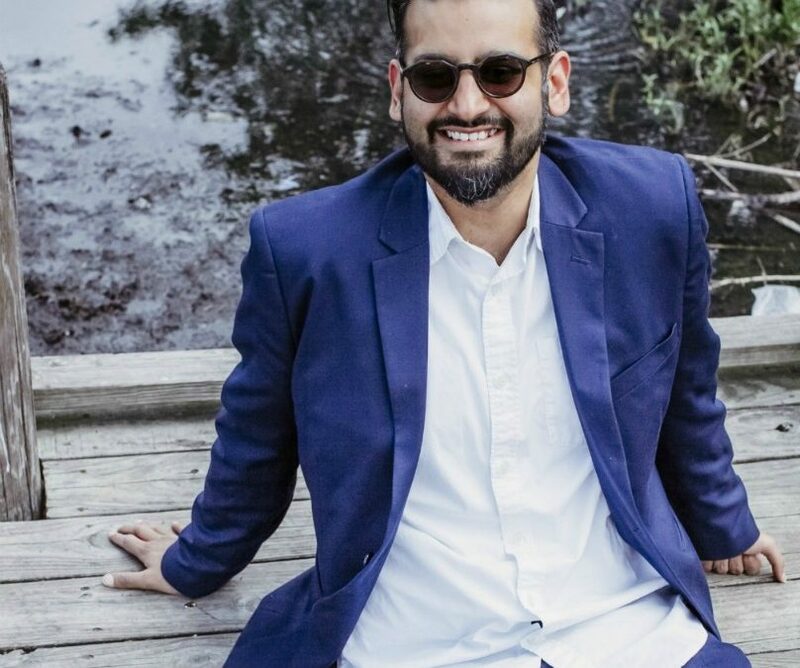 He has taught various classes for about 6-7 years, with a passion for teaching business skills to artists and doing one-on-one career coaching. 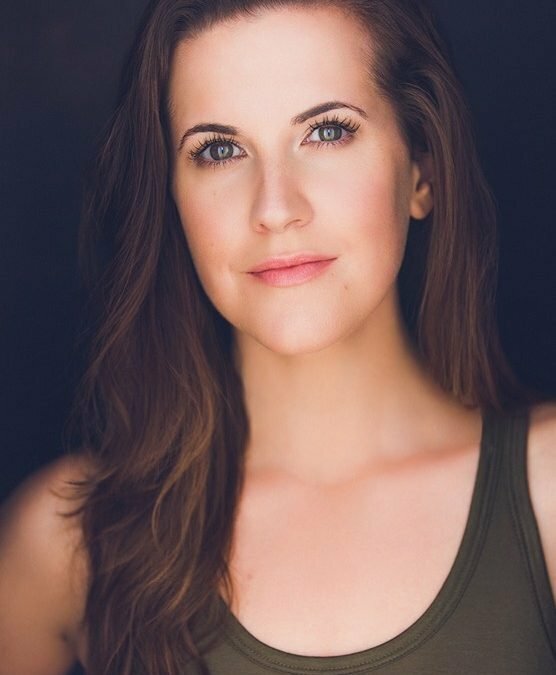 Talia Thiesfield graduated from UC Irvine’s MFA program and spent time in Los Angeles working with the Center Theater Group, touring with musicians and auditioning. She then took her career to New York to give it a boost. You’ve seen her on Veep, Limitless, and The Following. To date, Lapke has organized over 500 classes, events, and workshops with some of the industry’s leading professionals. 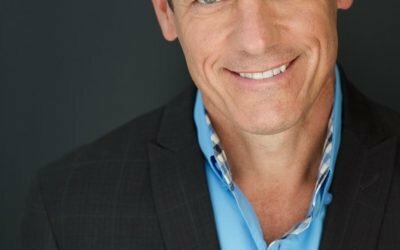 He is considered an expert in the field of actor marketing and business development and loves teaching actors how to apply business management techniques to their careers. 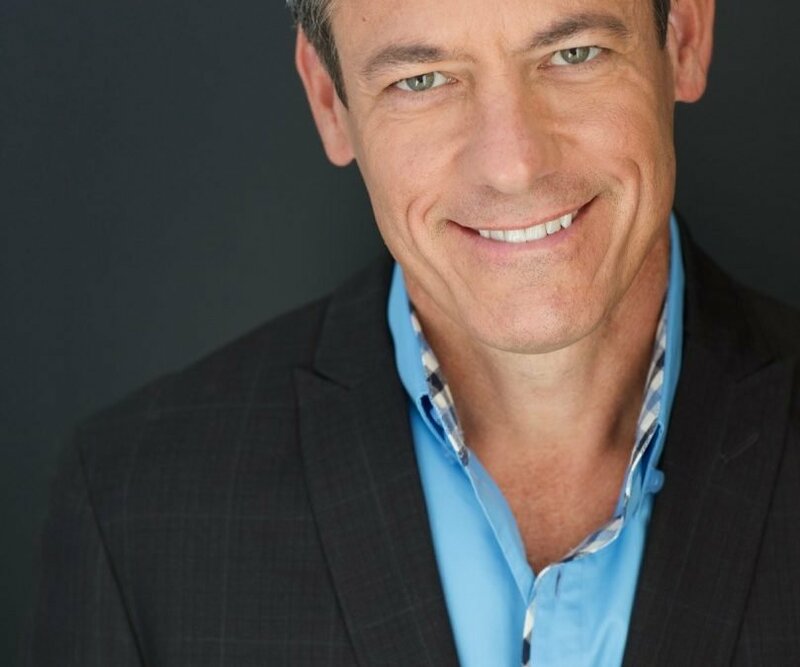 Lapke has taught classes in business, performance and public speaking for The Actors Studio, BMCC, and The University of Florida, from which he holds an MFA in performance. 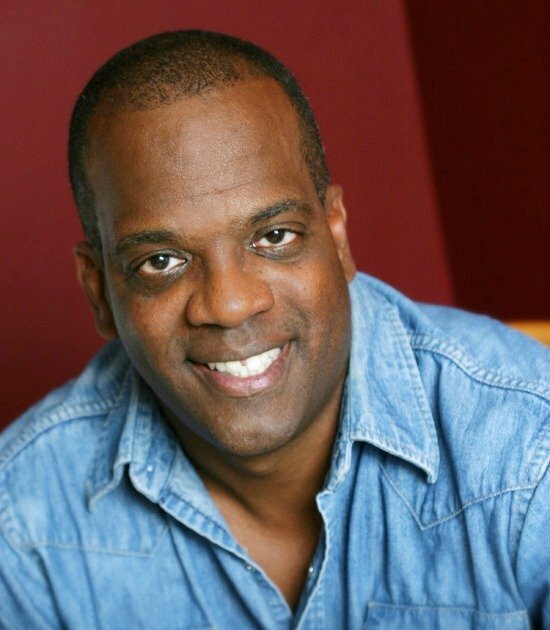 Timothy Douglas is an extraordinarily accomplished director working across the country mounting plays for The Guthrie, Arena Stage, Folger Shakespeare Theater, The Mark Taper Forum, Pittsburgh Public Rep, Yale Rep, and Actors Theater of Louisville and that’s just the tip of the iceberg. 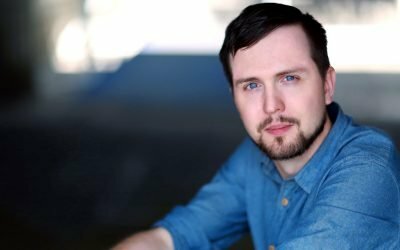 Also an associate artist at Cincinnati Rep and Milwaukee Rep, he still finds time to teach Linklater voice work in college acting programs all over. 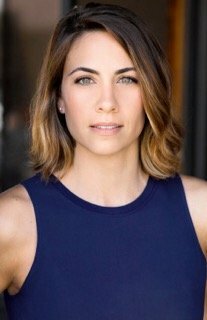 Jessi Blue Gormenzano has served as Casting Director for the Pearl Theater Company in NYC for several years casting productions that received NY Times and Time Out critics picks awards and Drama League Noms for featured performer. 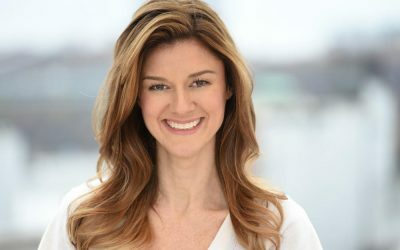 She now works with the Abingdon Theater Company leading their Theater, Education & Artistic Outreach programs, continues her casting work, and recently toured her documentary play Remarkably Normal. 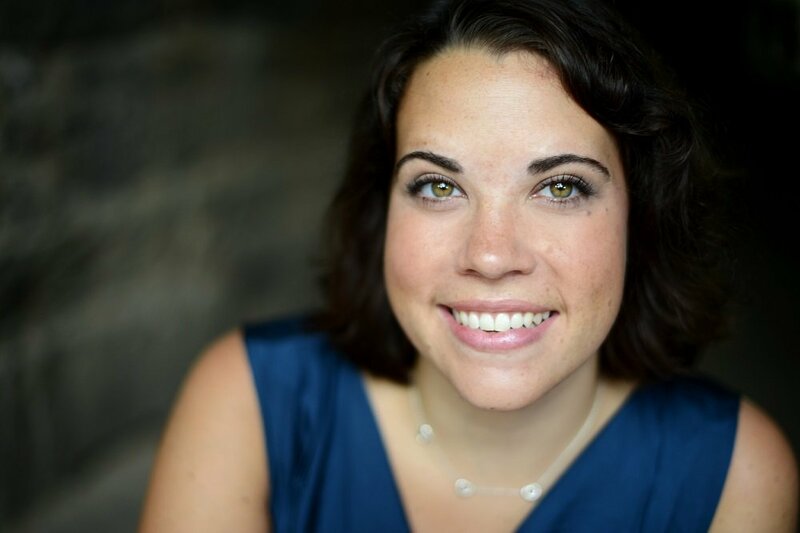 She is the creator and lead producer of OUR BAR, a monthly night of site-specific theater and an Artistic Associate with American Records Theater Company and Blessed Unrest. 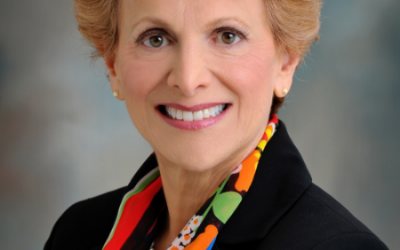 Maria Aparo is very familiar with that type of management. As a producer/Actress/Entrepreneur she is very familiar with the Slash Life. She even started a movement focused on helping out others. It’s called The Slash Generation and you can find it on Facebook. There she helps artists of all types build a supportive community, manage their social media and communications, and learn more about taking their careers to the next level. She has also been coaching clients in business management and social media marketing. As an actress you’ve seen her in Amazon’s Red Oaks, on stage at the Venetian Theater, and in multiple film and new media projects. 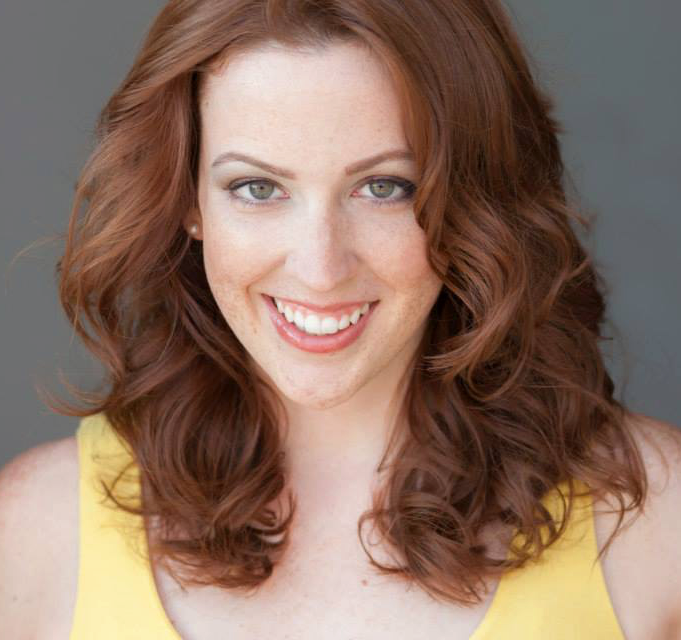 Jenni Putney has been all over the country acting in theater since graduating from UC San Diego’s MFA program. 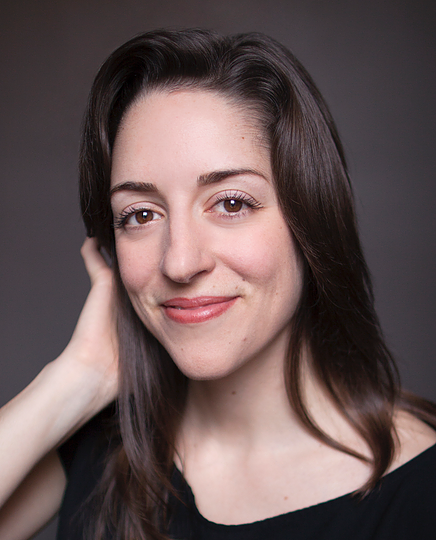 She has worked with the Kennedy Center, The Gulf Shore Playhouse, La Jolla Playhouse, George Street Playhouse in Philadelphia, Shakespeare Santa Cruz, Portland Center Stage and has just finished a massive undertaking, performing in The Norman Conquest Trilogy By Alan Ackborn at three theaters in Vermont in the same season. Often we can reach a plateau as artists. We achieve some level of comfort and choose to stay there rather than push ourselves towards the next goal or the next achievement. Athletes have to stay at their peak performance level or next time they’re out on the field, it will be obvious that they are not up to par. 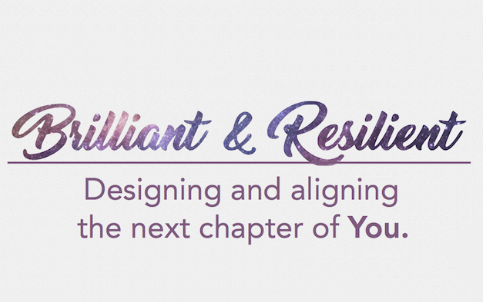 They see challenges as an opportunity to prove themselves and reach the next goal. Nothing is a set back, only an opportunity to learn and improve. 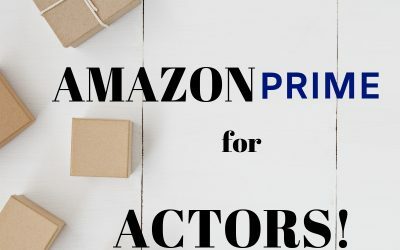 Perhaps you’ve seen their videos on Facebook with actors like Lupita Nyong’o and Pedro Pascal, and writers like Tony Kushner voicing their support for a living wage for Off Broadway actors. 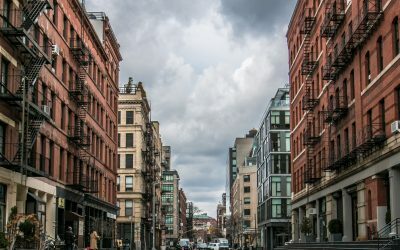 They know that these contracts are a huge part of the life blood of the New York Theater environment and if actor’s wages stay stagnant, as they have, then this integral part of the theater ecosystem will no longer be able to find quality performers and the whole Off Broadway community will suffer. Find the best on camera acting teachers in your area and take classes so that you are comfortable with the technicalities of auditioning for the camera. Even if you have experience on set and acting for film, it’s important to know the specific needs and pressures that come into play when auditioning for the role. Some people do modeling, work as brand ambassadors, stunt performers, stand up comedians, and voice overs. 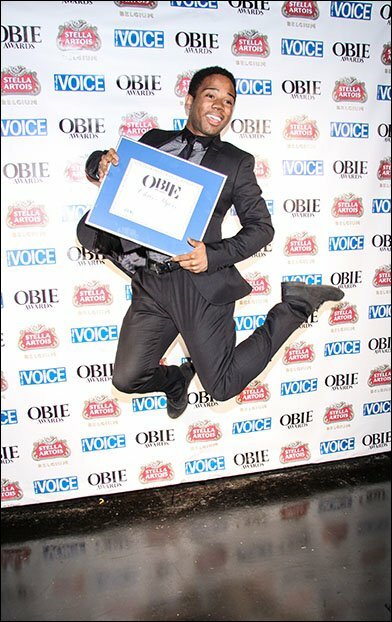 The voice over market is quite competitive so if you choose to get involved you should know that it takes some training, management, and drive just like your acting career. 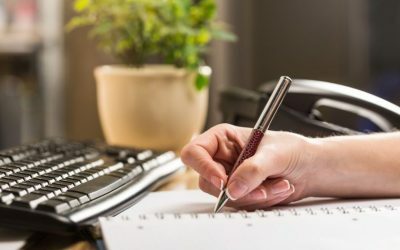 The benefit is that it generally takes less time (depending on the scale of the project), you can record from home (if you invest in some good equipment), and there are a number of services out there to find and submit for auditions. 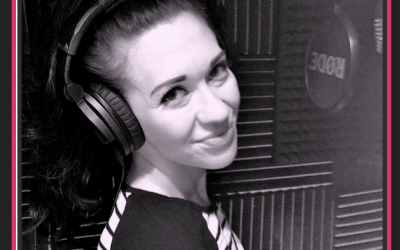 If you think voice overs might be right for you, listen up! You want to use the best tools out there to share your success in a way that is consistent with your image and abilities. That way whenever someone thinks of you as an actor they immediately know what tone you can bring to a role, what skills you have, and how they can best use you. Making the choice easy for an agent, casting, or a director helps them and YOU. The choice is always yours to make and change when it feels right. It’s your business and you are the ACTOR CEO. 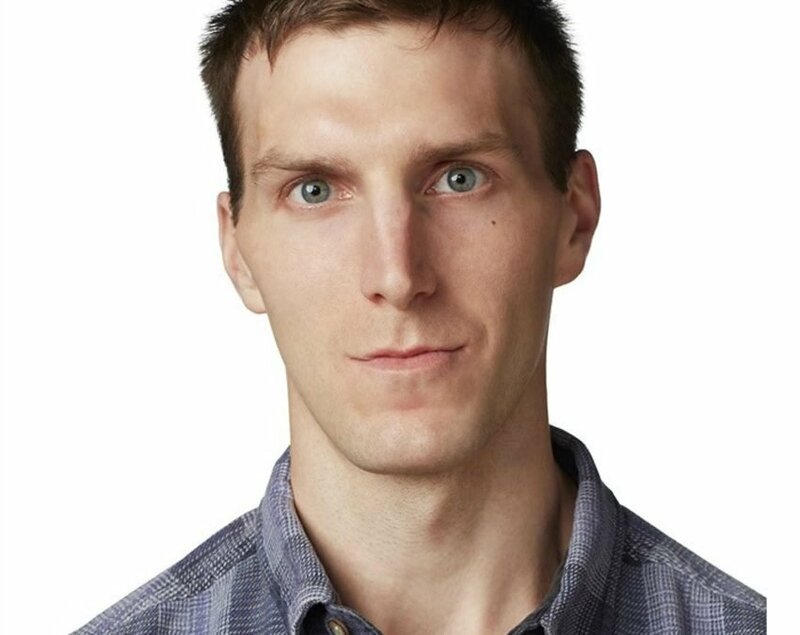 Alexander Stine has some truly unique perspective as an actor. He is both an actor AND an agent. 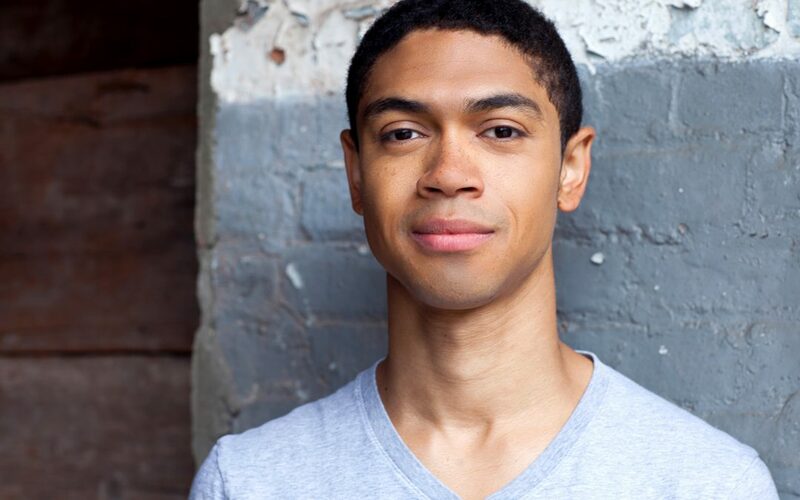 He gets to see both sides of the industry and shares what he thinks actors need to know when dealing with their representation. Eric has served as an inspiration to me and many other actors thanks to his example of where hard work can get you. 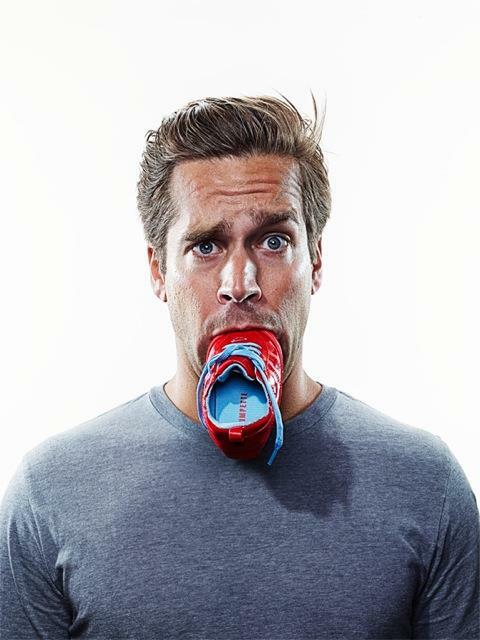 He has carved out a successful career working in commercials and television by laying out a roadmap of what he wants to accomplish and pushing towards those waypoints. 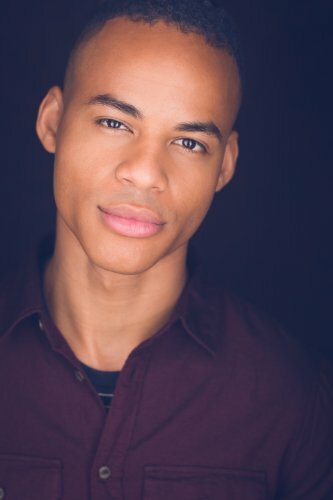 The struggle is real for all of us working actors, but having detailed goals has given him the clarity to remain in control and focused on taking his career to the next level. 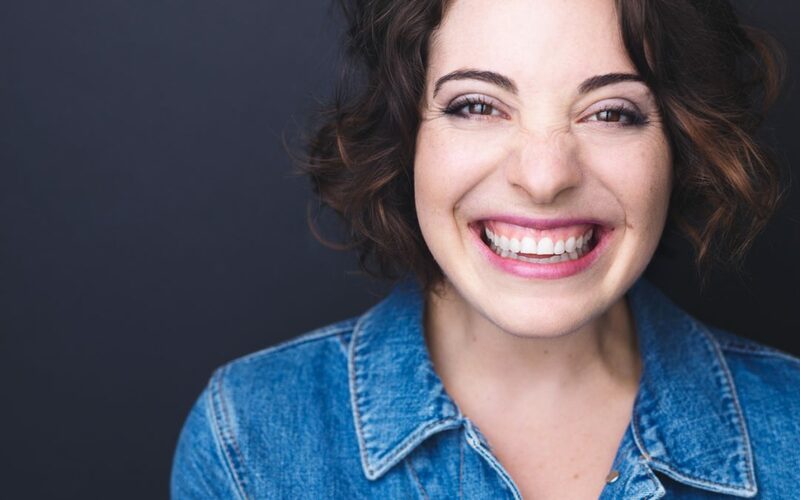 Sarah motivates so many actors through workshops and one on one counseling sessions to put their effort in the right places to make meaningful progress. Ryan has grown up in and around the industry, and has put in serious work in both acting and casting. His mother, Mary Jo Slater, is a cornerstone in the casting community in Los Angeles and brought both him and his brother Christian into the business early on. 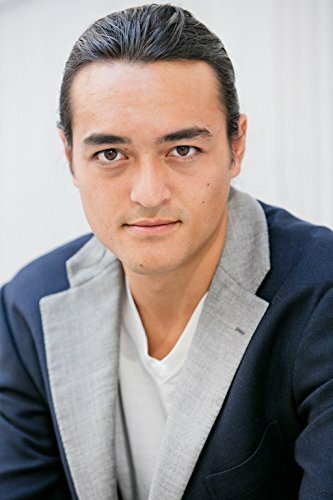 Seeing the mechanics of networking, pitching, writing sessions, auditions, final decisions, and working on set he brings a truly unique and valuable perspective to the conversation. I decided to start this podcast because I was seeking out this information from my network and the connections I would make in the business. I’ve earned a BFA and an MFA, but I almost never heard any practical actionable advice on how to place myself in the industry and what to do to make sure I was not wasting my time or resources. The common understanding was “just hustle till you make it.” Man, that’s exhausting and not really practical. I would see good actors around me burn out and move on to other lives, because they did not feel like their efforts meant anything. They had no idea why things weren’t working. I have felt this way countless times. But when talking to others who are a few steps ahead of me I heard a consistent theme coming from successful professionals, You are an actor AND a business and you need to treat your career like a business so you can control the things you can, and forget about the things you can’t. Once you look at your acting in that light, you begin to have sharper focus, more commitment, and feel more professional about what you do. No one, not your agent or manager are going to do that for you. They are part of the business but it starts with you. You’re the CEO. 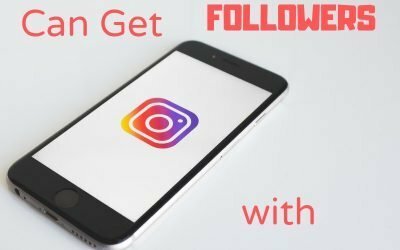 win you a Masterclass for free! Especially in light of the #Metoo and #Timesup movements, I think it’s vital to clarify our boundaries and practice safety and respect. It’s easier than ever to take the creative skills you have and build a side hustle that actually offers you money above and beyond your expenses so you can fund your creative career! 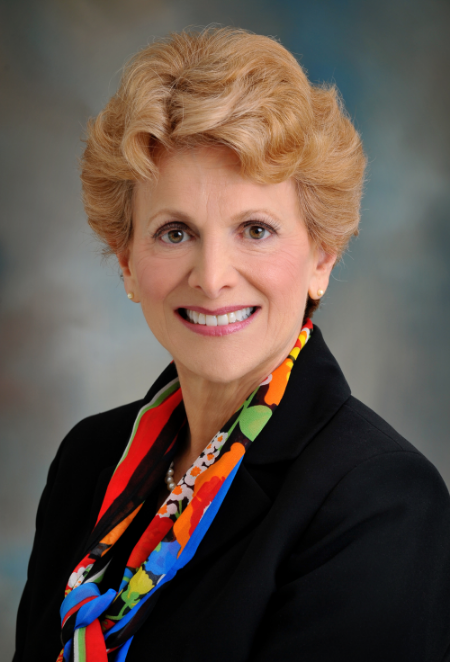 Kristine Oller can show you how! Actors. 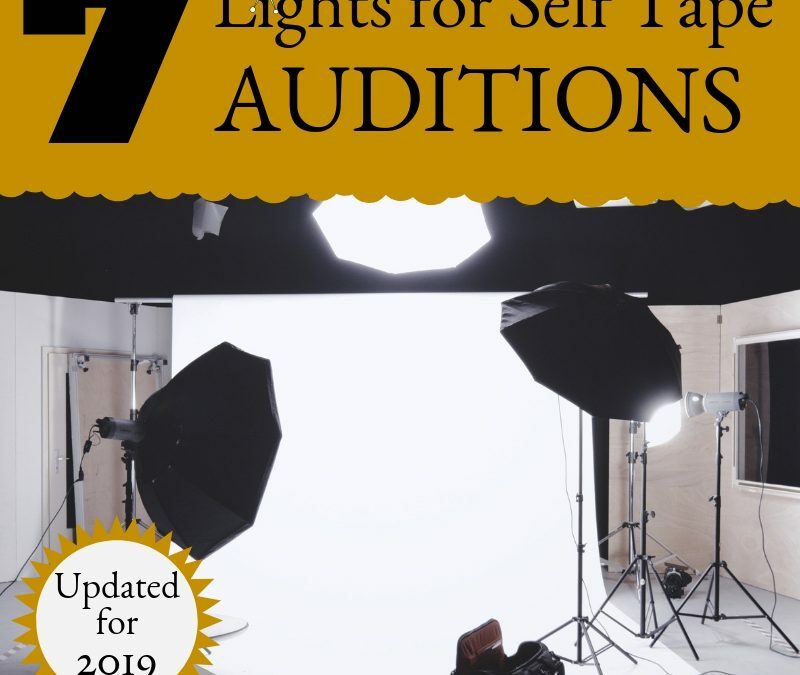 Use these self tape lighting tools to improve your self tape auditions. Look great and deliver better remote auditions with your cell phone or video camera. 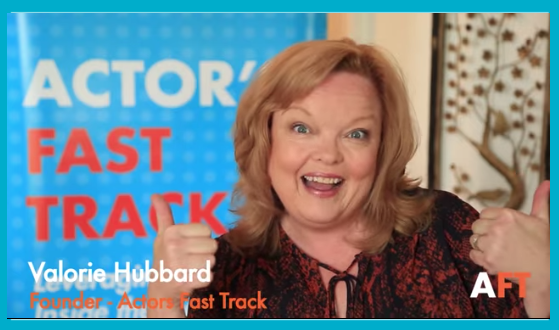 Casting directors use self tapes more than ever. Make yours stand out. 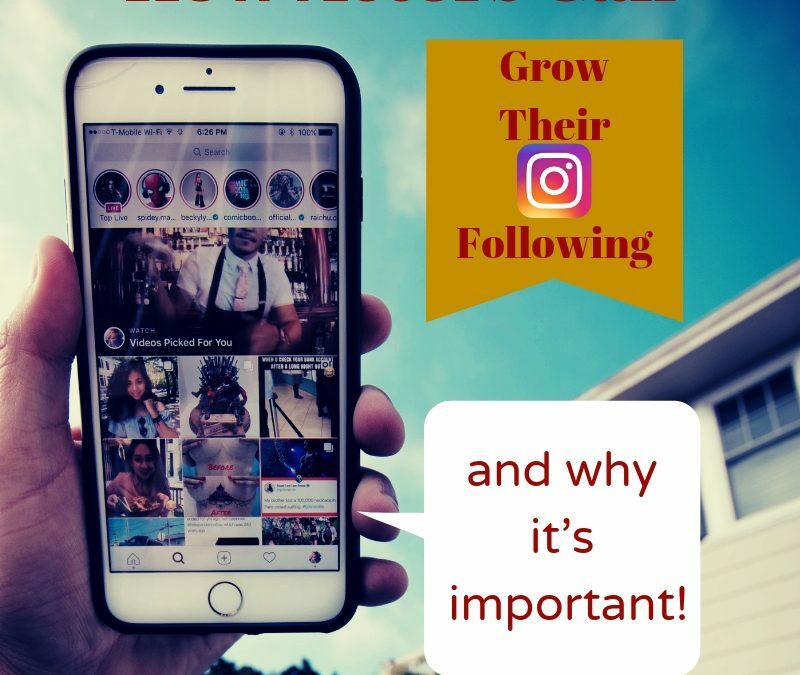 Grow your Instagram followers by the thousands with REAL PEOPLE, not bots or fake accounts. 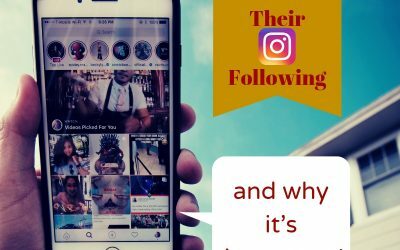 Actor Influencer is a one of a kind service that drives real traffic to the Instagram accounts of actors, artists, musicians, and more. Plus use the discount code to save $20/month for LIFE! 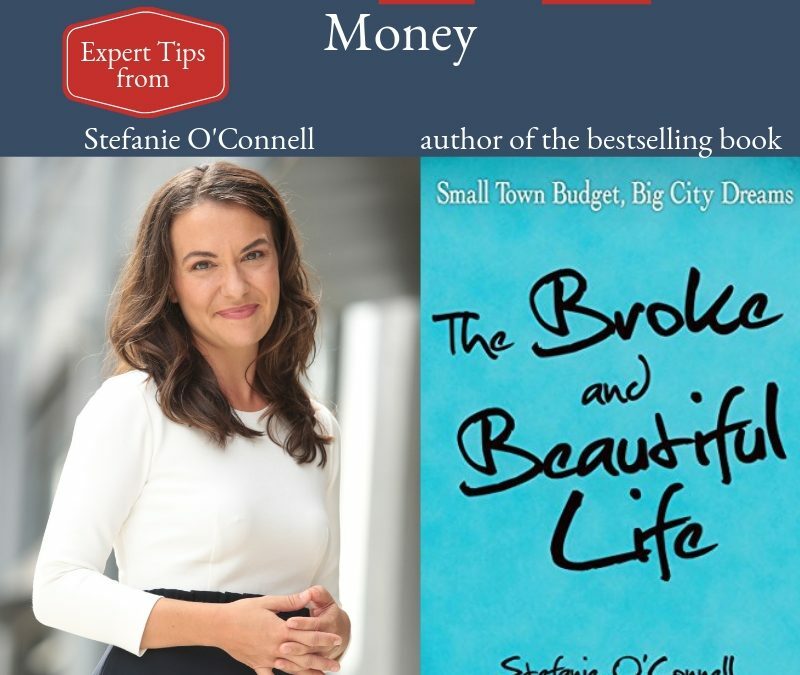 Stefanie O’Connell is the millennial money expert and author of the best selling book The Broke and Beautiful Life. 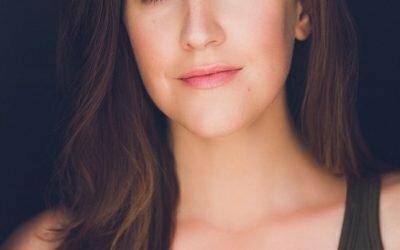 She joined The Actor CEO Podcast to share her money tips for actors and artists. Affordable housing for actors is now available thanks to the Actors Fund and the Clinton Housing Development Company. read to find out when to apply. The application dates close soon. 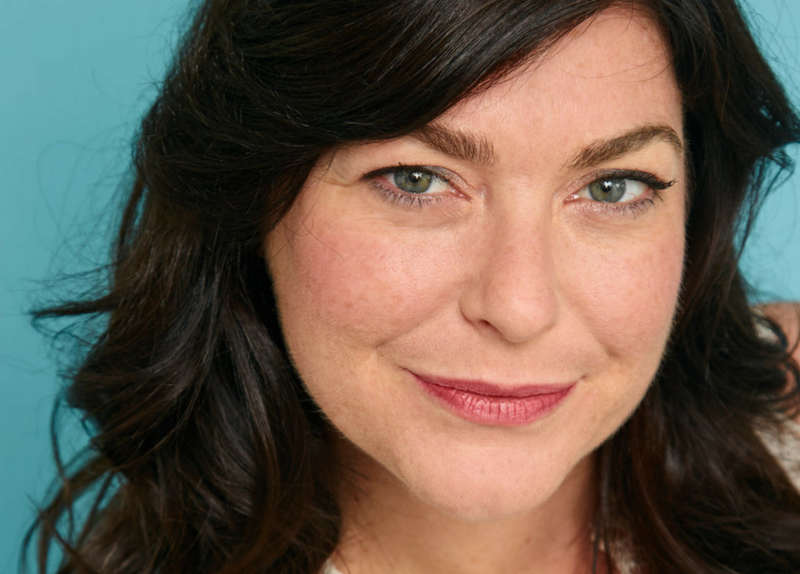 Emmy Award winning filmmaker Erika Cohn is a powerful example of the incredible possibilities of women creatives telling stories that are critical, stunning, fresh, profound, and riveting. 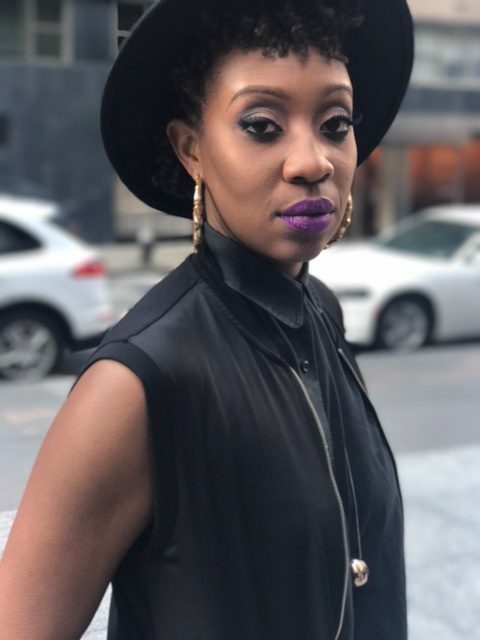 She is building the creative world she wants to operate in and her latest film, The Judge, had it’s network premiere on PBS Independent Lens and can be streamed on Amazon Video along with her Emmy Award winning film In Football We Trust. I’ve put together a The Black Friday Checklist for Actors which greatly expands on The 7 Best Pieces of Self Tape Gear Under $20 that I’ve shared before. 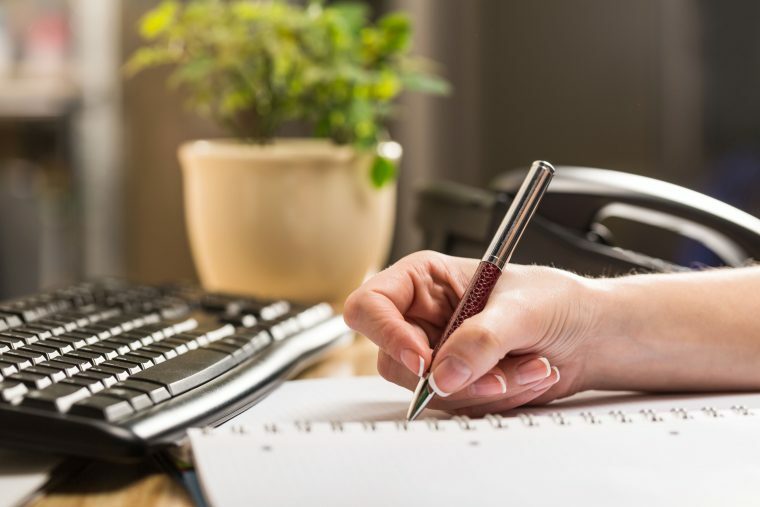 You may find some of the same products but this list has so much more to get you ready for the new year with professional gear, real opportunities, and cash in your pocket. 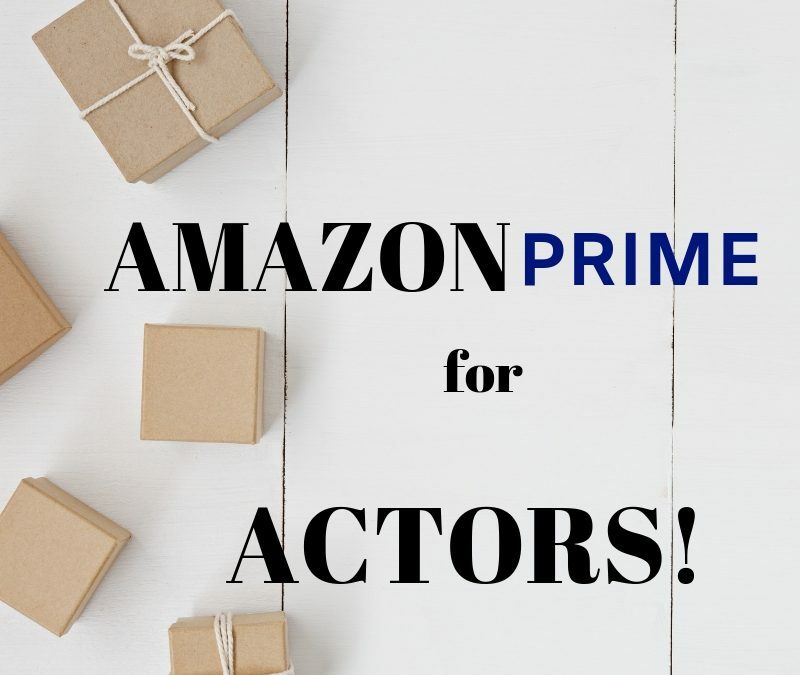 Amazon Prime is an incredible resource for ACTORS! Order self tape gear that arrives in 24 hours with free shipping. Watch incredible videos to for research on Emmy award winning shows that you may audition for. Get a discount if your a student. What’s not to love? Here are 7 unique and surprising actor day (other than waiting tables) jobs you may not have heard of. 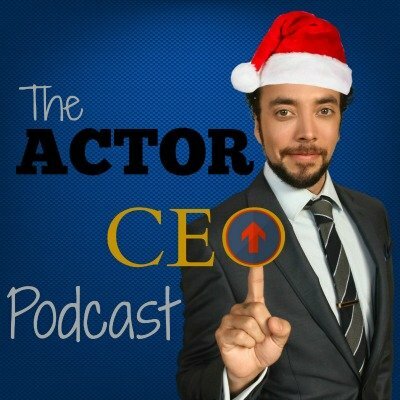 The Actor CEO Podcast is now featured in Backstage, has grown to just under 8,000 followers and has listeners all over the world. This is an incredible resource for actors that has been built and supported by actors. Thank you. Now here’s what’s next. 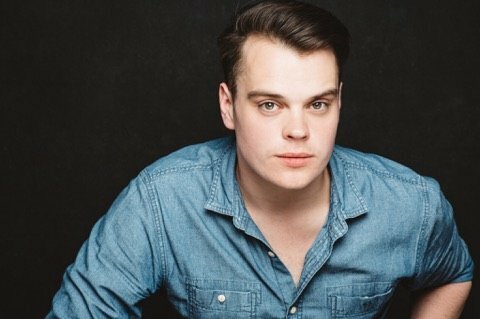 Chris Petrovski booked his recurring role on Madame Secretary off a self tape! He also manages a Facebook page for actors titled, IN THE MOMENT with over 120k followers. 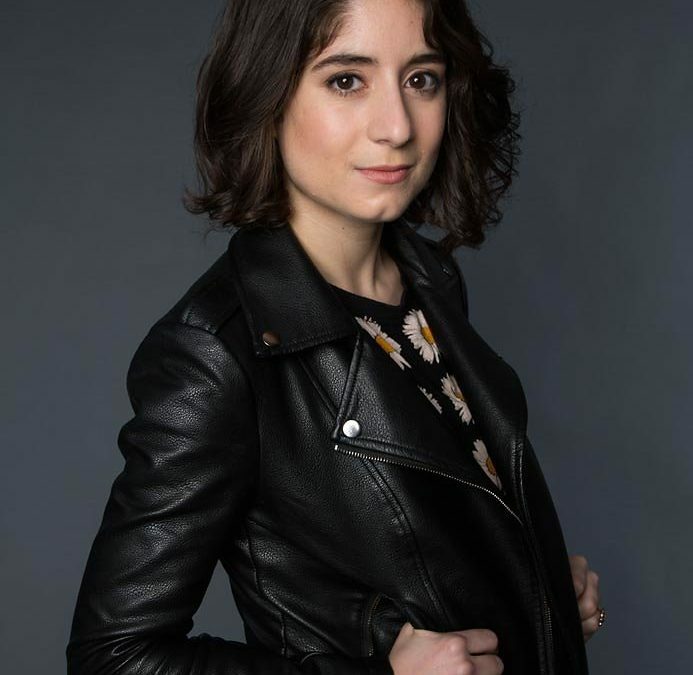 Jordan Elizabeth Gelber is a New York City based Actress and film producer. She is the CEO of the award winning marketing and production company Starbaby Enterprises.